Leica 50mm Noctilux-M ASPH f/0.95 "King of the Night"
It has a magic attraction to it, like a large diamond. And not unlike a real diamond, the glass for it is said to be prepared in underground ovens for a number of years (hence the often long wait for a new batch of lenses). 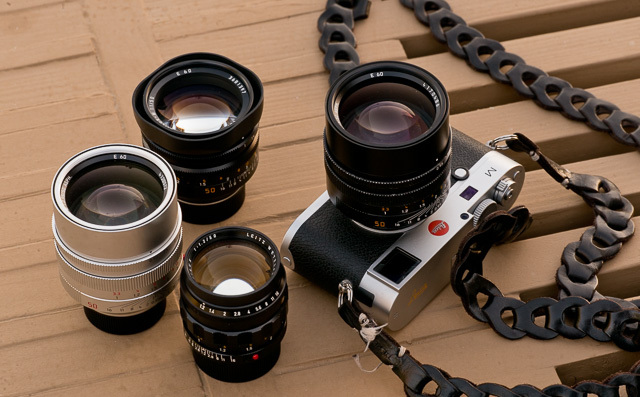 The Noctilux family (from bottom and clockwise): The very first 1966-model, the Leica Noctilux-M f/1.2 ASPH (model 11820, 1966-1975), the current 2008-model in silver, 50mm Noctilux-M ASPH f/0.95 FLE (FLoating Element, model 11667), the 50mm Noctilux-M f/1.0 with built-in hood (model 11822), and on the Leica M240 camera, the current 50mm Noctilux-M ASPH f/0.95 in black (model 11602). Not shown in the picture is the previous models of the 50mm Noctilux f/1.0 (three versions of the model 11821 from 1976-1993 with bayonet or clip-on lens shades; all of which has the same optical design as the one with the built-in plastic hood, but filter sizes from 58mm to 60mm). © 2016-2018 Thorsten von Overgaard. It's perhaps the most unique lens available in the world in that it photographs images almost in the dark, adds a distinguished look to any image captured through it, and at a price of $10,995 it allows only the most dedicated photographers to own one. Noctilux means "light of the night" [from Latin nocturnus 'of the night' and 'lux' light]. The Noctilux surpasses the speed of the human eye somewhat four times (which can see as wide as f/2.1 in the dark and f/8.3 in bright daylight). 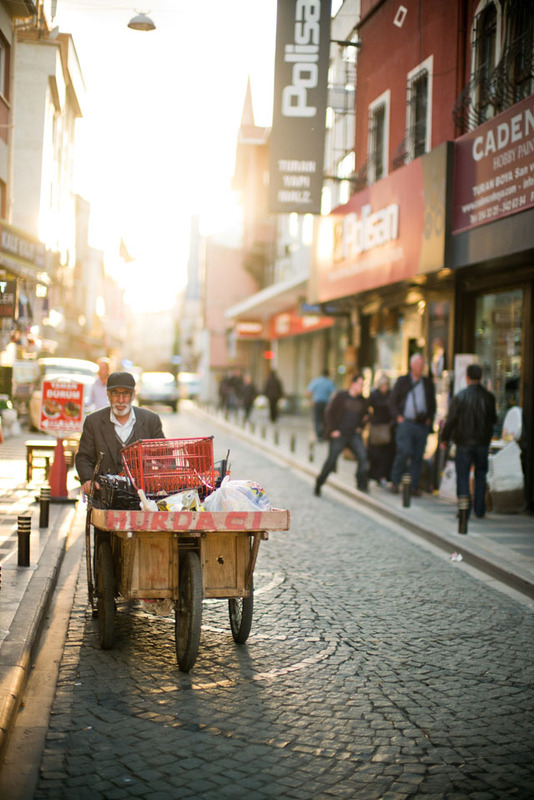 Istanbul, September 2014. Leica M 240 with Leica 50mm Noctilux-M ASPH f/0.95. © 2014-2016 Thorsten Overgaard. "The Future of Jakarta". 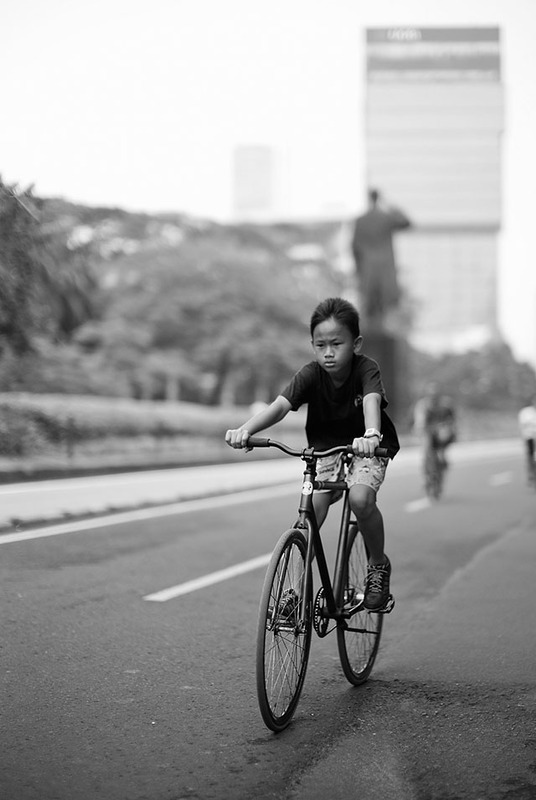 Sunday is car-free day on some of the busy mainroads in Jakarta. Leica M 240 with Leica 50mm Noctilux-M ASPH f/0.95. 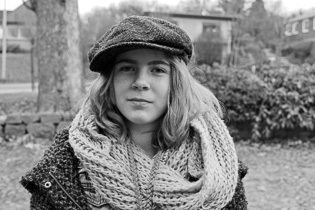 © 2013 Thorsten Overgaard. Lost Angels at Rodeo Drive in Beverly Hills, Los Angeles. 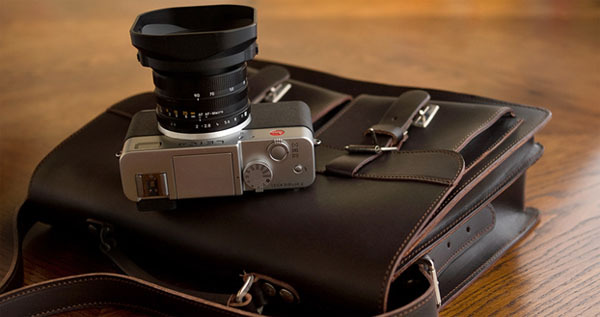 Leica M9 with Leica 50mm Noctilux-M f/1.0 (1981-edition). 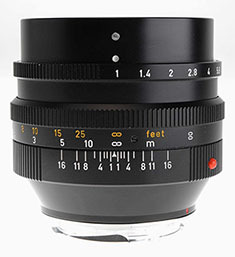 The Noctilux-M ASPH f/0.95 was introduced by Leica Camera AG in 2008, perhaps as an early sign of a new golden age of uncompromizing lens design from the company: Soon after came the Leica 21mm Summilux-M ASPH f/1,4 and the Leica 24 mm Summilux-M ASPH f/1.4, followed the year after by the "impossible" full frame Leica M9 digital rangefinder that was presented as a surprise on September 9, 2009 at 9:00 AM. 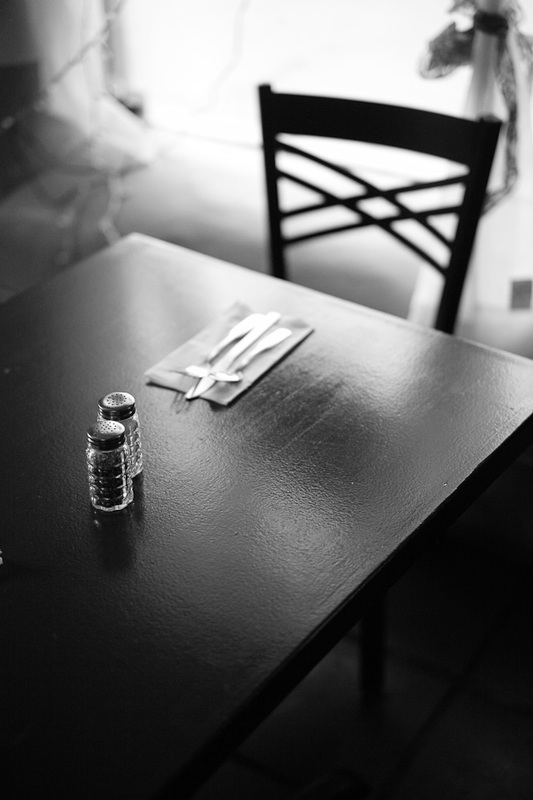 Diner 101 at Franklin Avenue in Hollywood, Los Angeles. 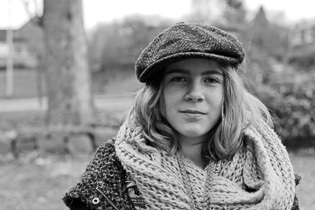 Leica M9 with 50mm Noctilux-M f/1.0 (1981-edition). © 2011-2016 Thorsten Overgaard. 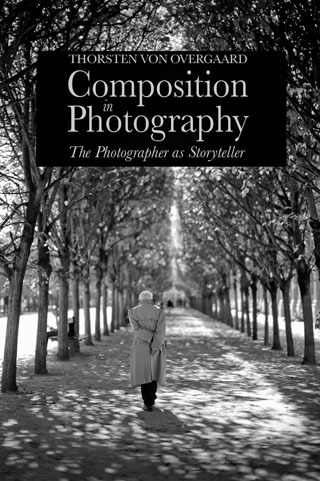 In short, it all marks a strategy of focusing on Leica core qualities such as low-light photography incorporating image quality of the highest caliber, no-nonsense simplicty, compactness and almost complete silence. That the most light strong, most impossible to design and most expensive Leica lenses (besides the above three mentioned we can count in as well the Leica 50mm Summilux-M ASPH f/1-4 and the Leica 75mm Summicron-M ASPH f/2.0) are also the most sought after, will tell you that it's the right strategy for a company as Leica Camera AG. 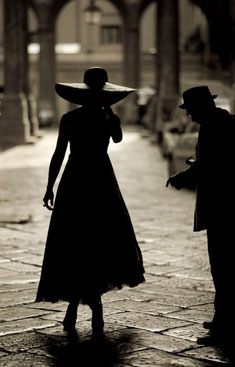 The company own more expertise in the photographic field than anyone can imagine. As an example the company has more than a thousand patented recipies of how to make special glass types (the thin single glass filter in front of the sensor of the Leica M9 is one example of such a recipe of a glass type that does what other camera producers must use three individual glasses for). Leica M9 with Leica 50mm Noctilux-M ASPH f/0.95 @ f/0.95. 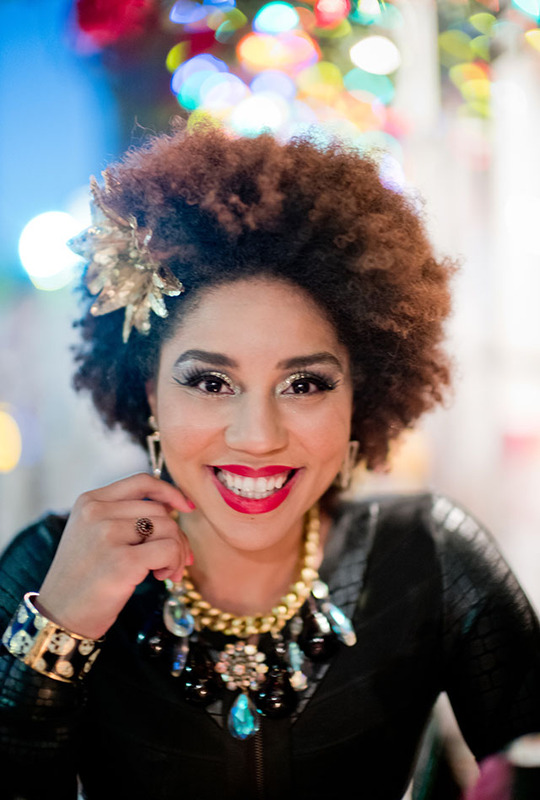 Photography by: Joseph V Hughes, Jr.
Joy Villa. Leica M10 with Leica 50mm Noctilux-M ASPH f/0.95. © 2017-2018 Thorsten von Overgaard. 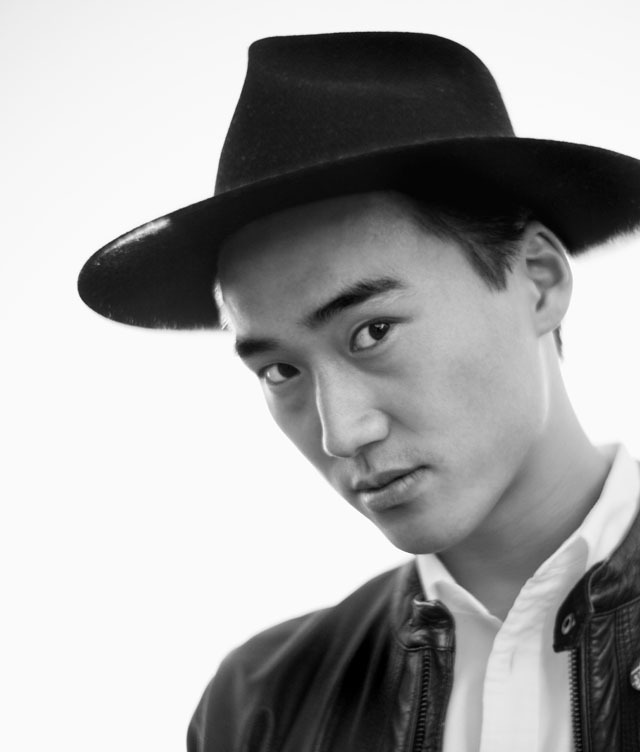 The Leica 50mm Noctilux-M ASPH f/1.2 on the Leica M-D 262. © 2016 Thorsten Overgaard. Photographed with Leica M 240 with Leica Cine 100mm Summicron-C f/2.0 and Macrolux adapter ... and a Taylor Baby guitar in the background. 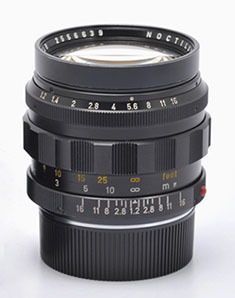 Helmut Marx and Paul Sindel designed the worlds first low-light 50mm lens, the Noctilux f/1.2 (part no 11 820). After 1,700 were produced, the f/1.0 was introduced. The aspherical surfaces of the f/1.2 (front glass and rear glass) was made on a grinding machine that had to be operated manually and of which there existed only one. The production of the Noctilux f/1.2 basically relied on one man who as the only one could do the aspherical surfaces by hand. First the surafeces were grinded on the manually operated machine, then the last polishing by hand. But also Leica didn't find the f/1.2 to solve all the problems of ultra-high-speed lens, so Dr. Walter Mandler designed the Leica Noctilux-M f/1.0 (part no 11 821) which was introduced in 1976 and continued all the way to 2008 when Leica lens designer Peter Karbe introduced the Leica Noctilux-M ASPH f/0.95 (Peter Karbe is also the mastermind behind the 50mm Summilux-M ASPH f/1.4 (which is actually an APO lens on top of it all) and the Leica 75mm Summicron-M ASPH f/2.0 lens. Both legendary lenses already). Mr. Grant in Hollywood. 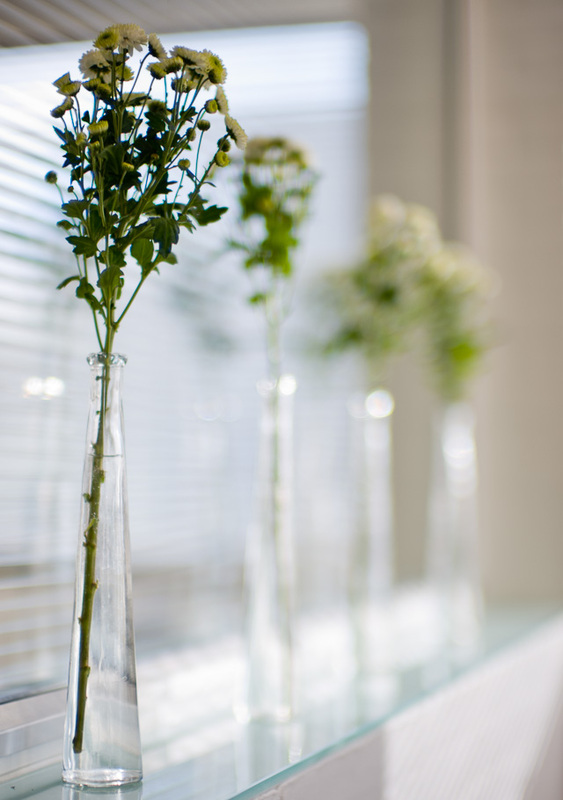 Leica M 240 withLeica 50mm Noctilux-M f/1.2. © 2016 Thorsten Overgaard. 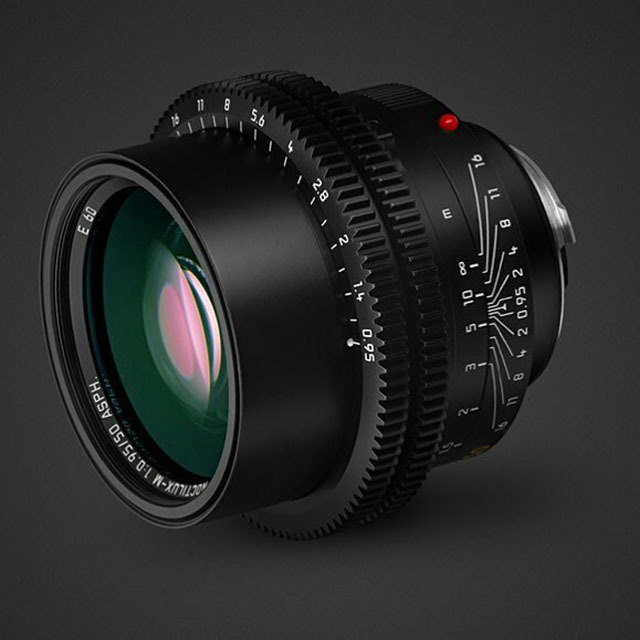 With the Leica 50mm f/0.95 something happened to the Noctilux prices. The Noctilux f/1.2 used to be $5,000-$7,000 around 2008-2010. The Noctilux f/1.0 used to be new price $5,500 and second-hand some less. With the new Noctilux f/0.95, the f/1.0 stabilized itself around $5,000-6,000 second-hand while the Noctilux f/1.2 went to $22,000 in 2016 and seems to be still rising. Here is how the Noctilux f/1.2 looks at the different f-stops. 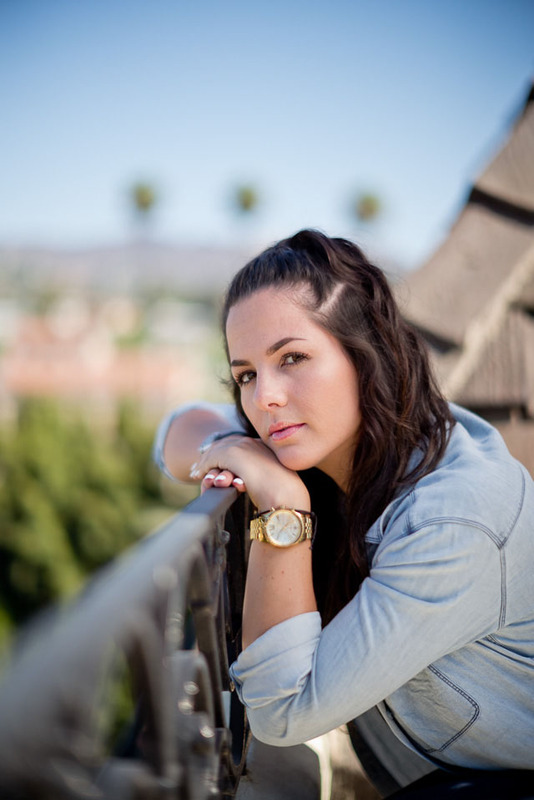 The bokeh and depth of field is almost identical at f/1.4 and f/1.2 (see comparison further down). Now, you may wonder how much difference the step from f/1.4 to f/1.2 does for the Noctilux. After all, at the point of making the Noctilux f/1.2, that small step was the actual breakthrough. It was meant as a low-light lens, so the extra light coming in was the selling point. Of course also the breakthrough that Leica could make an even more light-strong lens than previously (and more light-strong than others) was a statement. 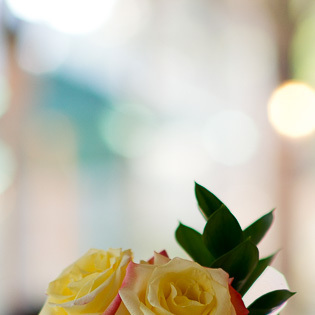 Today where we have high ISO, we're more interested in how the depth-of-field looks, and the bokeh. 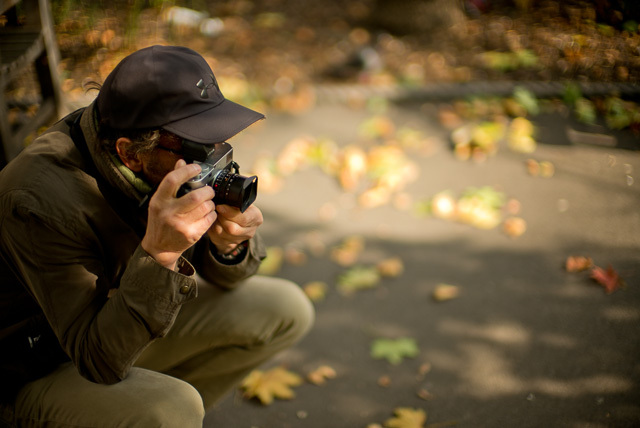 What is the signature of the Leica 50mm Noctilux f/1.2..? Notice the immediate background behind the roses. 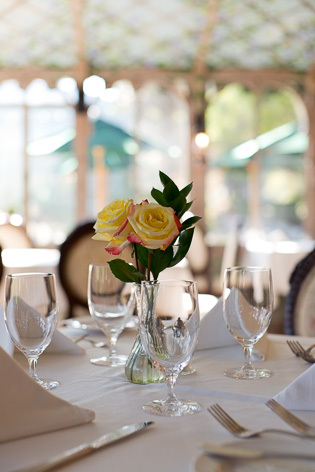 The glass to the left, the wooden oval frame of the chair behind the glass. Also, notice the light yellow sparkle to above right of the rose (which is slightly smaller at f/1.4). In the last close-up crop of the rose, if you can imagine if this was the skin on a face. 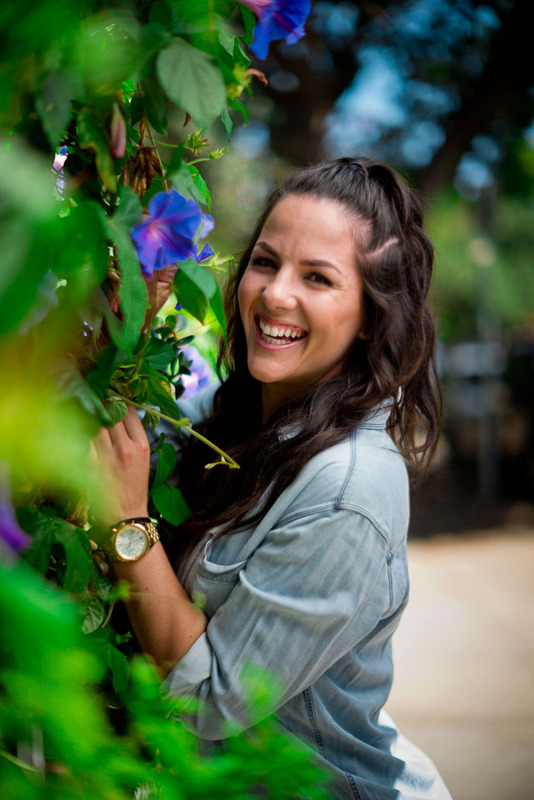 You may then realize one of the advantages of an f/1.2 lens for portraits. You see the lines at f/1.2, but they are not as dominant. In other words; you will make the subject look younger at f/1.2. 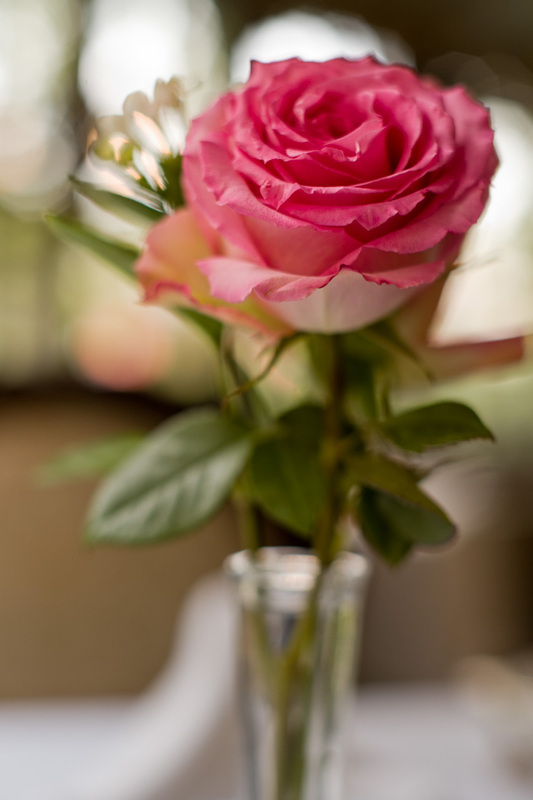 With some slight change in the light between the two, you notice the rose is the same exposure, but the table cloth is darker in the f/1.2 photograph. This is the edge of the lens. The Leitz 50mm Noctilux-M f/1.2 doesn't have a filter screw thread but takes Series VIII (Series 8) filters. As you surely want to use this lens also when there is much light and even sunshine, you need to get an ND filter for it. 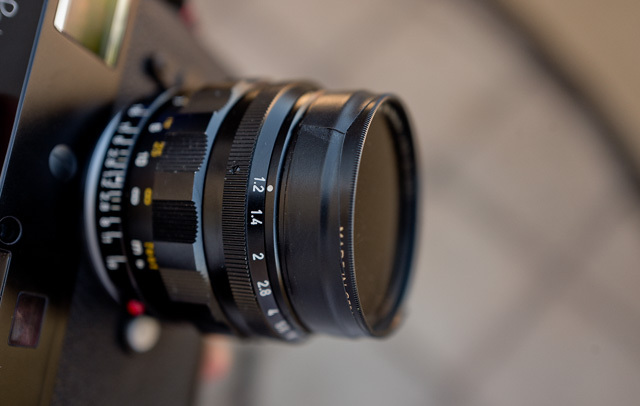 A 49mm B+W ND-filter (3 stop or 8X) attached with isolation tape on the Leica 50mm Noctilux-M f/1.2. © 2016 Thorsten Overgaard. Actress Claude Racine. 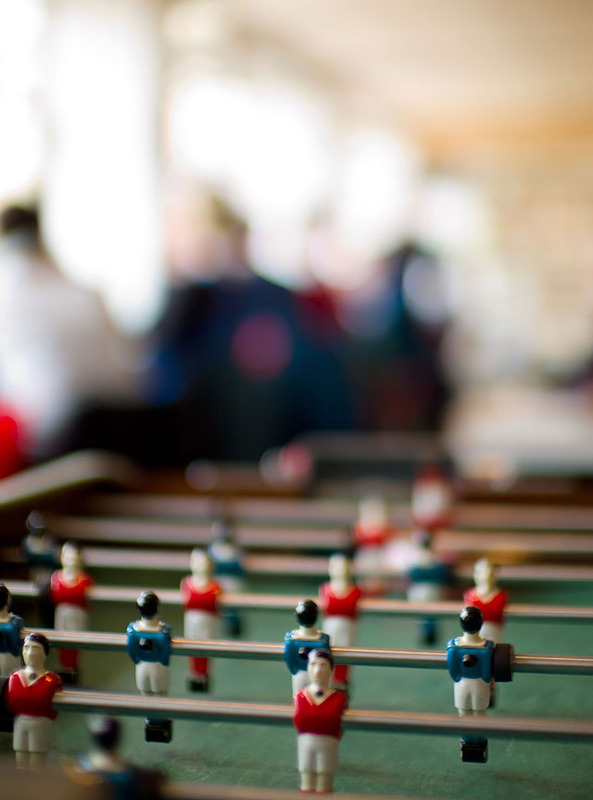 Leica M-D 262 with Leica 50mm Noctilux-M f/1.2. © 2016 Thorsten Overgaard. The problem is if you don't have the (also) rare lens shade 12 503, because that's what is holding the filter in palce. If you don't have the lens hood, you either get one on eBay or from a vintage store like Leica Shop Vienna. It will set you back $4,000 or more because the lens shade is also vintage and rare. 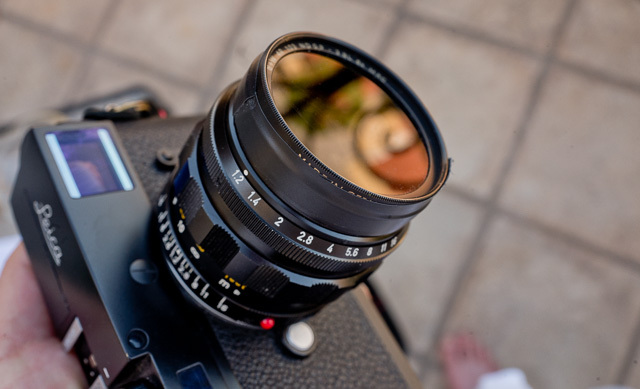 The other possibility is to take a Series VIII filter or a 49mm filter and stick it to the front with isolation tape. The reason you woud use that and not duck tape or something is that it is flexible and easy to put on and off. For cameras in general, black isolation tape is the one to use to cover logo's, text and so on. The lens shade (12 503) for the Noctilux f/1.2 is (also) a collectors item. They sell for $4,000 to $5,000 on eBay. 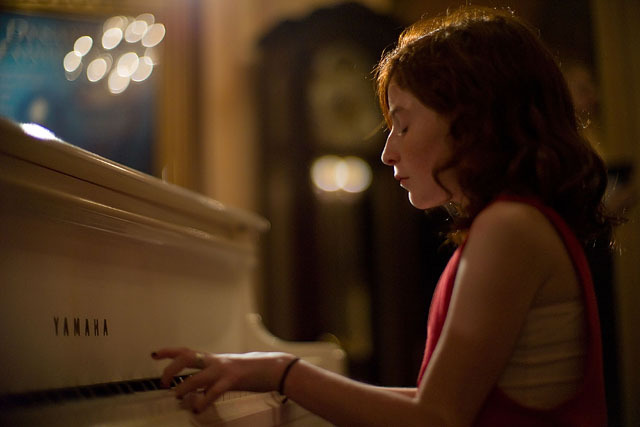 Caroline photographed by Joseph V Hughes, JR. Leica M9 with Leica 50mm Noctilux-M ASPH f/0.95 @ f/1.4, 160 ISO. The 1975-2008 Noctilux f/1.0 era is divided into four designs of the exterior of the lens though the lens design itself remains the same (though a rumor has it that the first lenses were of a different type of glass): The first three models were with an external lens shade. The first one with a bayonett lock-on mechanism characterized by the two chrome metal pins, then later replaced with a clip-on type with push buttons and a grove on the lens barrel (or one can also use a screw-on lens shade via the front filter screw thread). The White Horse in Doha, Qatar, January 2013. 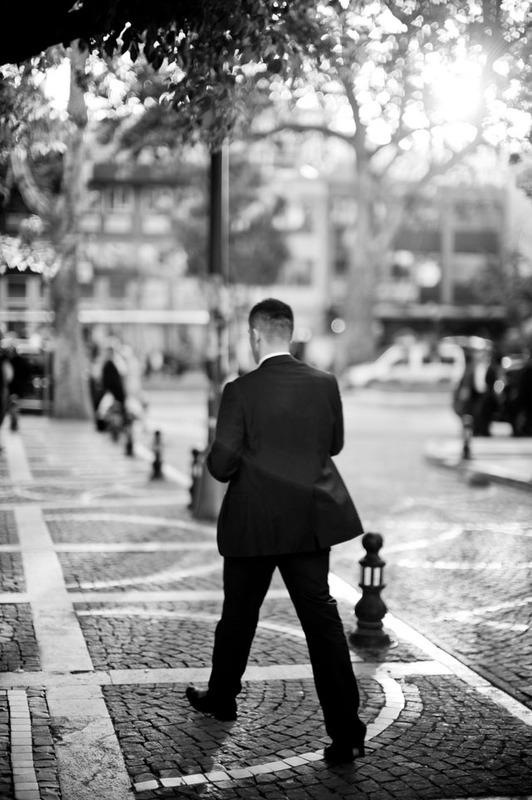 Photographed in the last minutes of the sunset light, Leica M Monochrom with Leica 50mm Noctilux-M ASPH f/0.95. Adjusted in Lightroom 3. 320 ISO, 1/4.000, f/0.95. © 2013-2016 Thorsten Overgaard. The front screw thread was 58mm (E58) till serial 2919656 (circa 1982) and then extended to 60mm (E60) onward, perhaps because the wider diameter was less prone to vingnetting when filters were attached. From 1993 the Noctilux-M f/1.0 was fitted with a built-in lens shade. 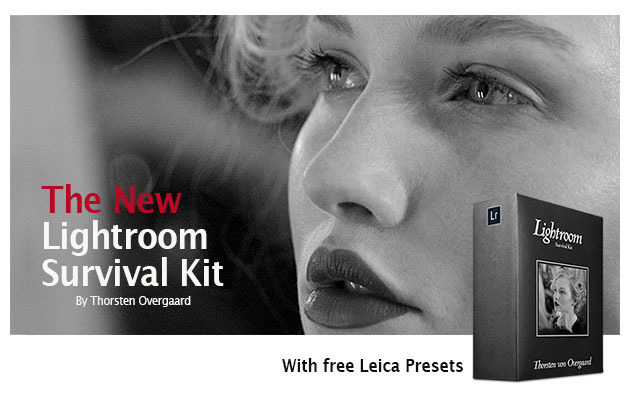 Leica has always adviced against using filters on the Noctilux if one wants the optimum image quality. The Leica 50mm Noctilux-M f/1.0 Version 2 (1978-1982), basically an updated version of the f/1.0 with E60 filter instead of E58 so as to avoid dark corners when using filter. 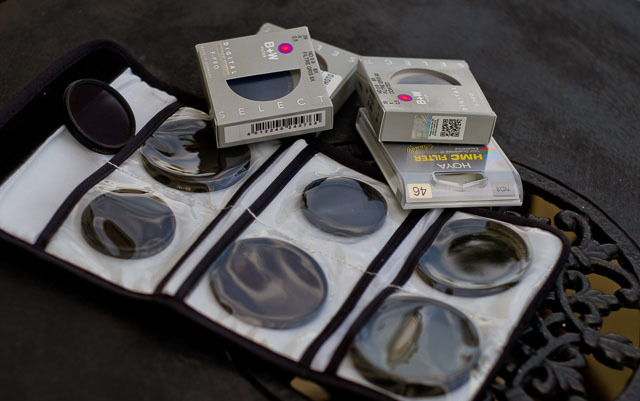 All Noctilux lenses have been with E60 filters since then. Tony Falcaro resting his Leica Q for a moment. Leica M10 with Leica 50mm Noctilux-M ASPH f/0.95 FLE. © 2017 Thorsten Overgaard. I think that one of the reasons I like the Noctilux as much as I do, and use it quite a lot, is that it presents a possibility to make dreamlike photographs. I don't have much interest in documenting reality, I want to show my vision. Opinions differ, and they change over time. Angry birds on the move. I took a lot of photos, and only few were in focus. 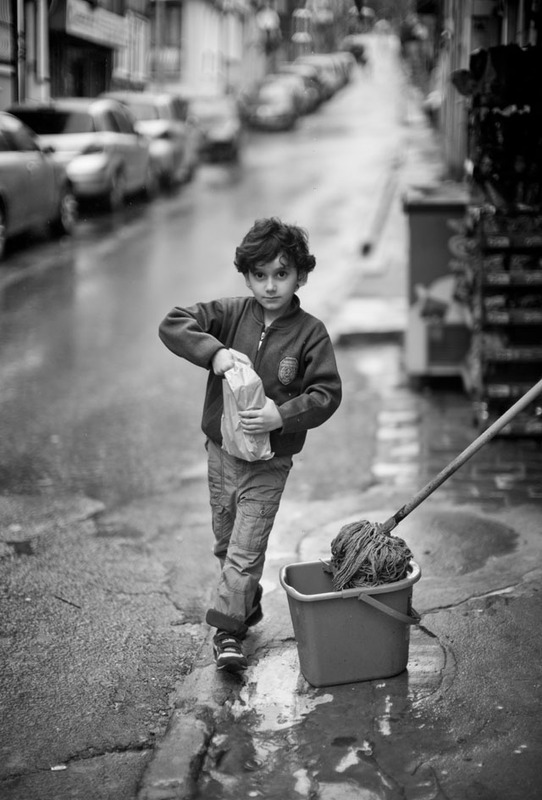 I was stubborn and stayed at f/0.95 and they were stubborn, insisting they owned the street. Leica M10 with Leica 50mm Noctilux-M ASPH f/0.95 FLE. © 2017 Thorsten Overgaard. "The bevildered minicam owner, sets his ideal at something that looks like a locomotive headlight, and hastily acquires F 2 and F 1.5 and dreamily contemplates the day when he will be able to own F 0.9. Save for very special problems, such tupendous apertures are not of the slightest use to the average worker. Speed is quality that can be gained only b the loss of other qualities muc more important. 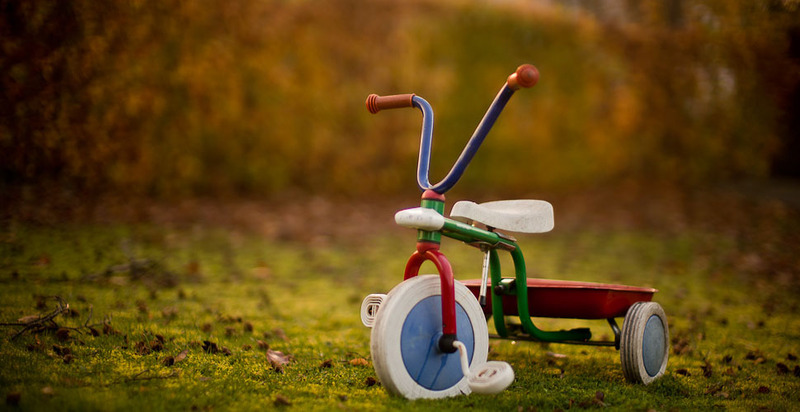 A lens of F 2 aperture is quite incapable of obtaining the depth of field necessary for pictiorial work. Of course such a lens may be closed down till the desired definition is obtained, but the lens is such a case might as well have been F 3.5 in the first place." An understandable voice in a time where just talking about the minicam as a serious camera was controversial; any "serious" photographers (like Ansel Adams) using large format and wet plates to ensure high quality photographs. (As a side note Ansel and William were at war back then, William Mortensen making daring fantasty photographs with added effects in the light setting and darkroom; Ansel Adams striving to make it all 100% natural and sharp in-camera, using large wooden cameras and in the mountains). 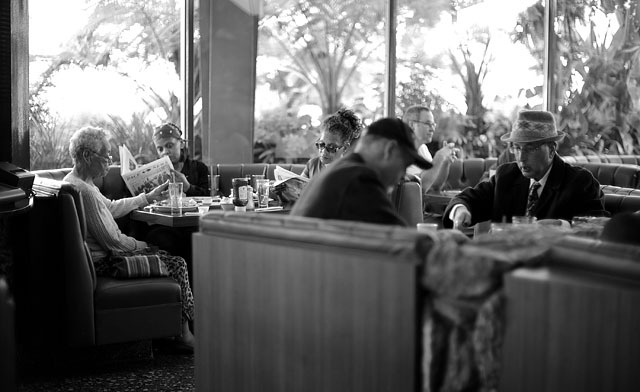 "Lost in the Diner". The Magnolia Cafe in Austrin. Leica M 240 with Leica 50mm Noctilux-M ASPH f/0.95. © 2015-2016 Thorsten Overgaard. 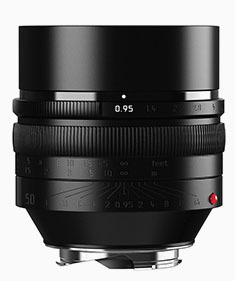 The Leica 50mm Noctilux-M ASPH f/0.95 is the first Noctilux with floating element (FLE), which means that there is implemented a "floating" element in the rear of the lens to compensate for changed f-stops. What happened when we went from film to digital was that we got glass sensors that much resembles glass negatives in the way that they are extremely precise. Film was precise enought, as we all know, for many years, but a film can bend or move slightly in the camera. For that reason, if you were really serious in the 1970's, you would order glass plates for your large format cameras: To get that extra level of accurate placement of the film plane. Mark Simenacz and Corné van Iperen making some crucial decisions in the Overgaard Workshop in Rome. Leica TL with Leica 50mm Noctilux-M ASPH f/0.95 FLE. © 2017 Thorsten Overgaard. Digital sensors are all very precise placed, with a very exact and plane surface of sensors. Thus, we learned that many lenses actually had a small difference in focus when stopped down in f-stop (and some times also when the focus distance changed). That lead to the idea of floating elements where anelement doesn't exactly float around inside the lens, but can move forward and backwards to compensate for those small adjustments. In the Noctilux, the FLE is perhaps less relevant than in a Leica 35mm Summilux-M ASPH f/1.4 FLE, because with the Noctilux you generally want to stay at f/0.95 (and wouldn't rally notice that the focus might change slightly if stopped down to f/5.6). Leica M10 with Leica 50mm Noctilux-M ASPH f/0.95 FLE. © 2017 Thorsten Overgaard. 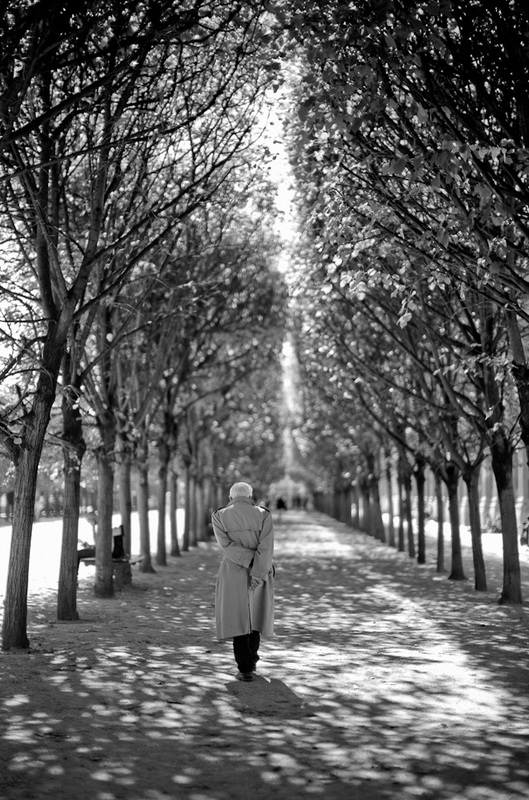 "A Moment in Paris", September 2013. Leica M 240 with Leica 50mm Noctilux-M ASPH f/0.95. © 2013-2016 Thorsten von Overgaard. The Leica 50mm Noctilux-M ASPH f/0.95 comes in this little box so that those nights you don't have it under the pillow, it can stay in it's box. 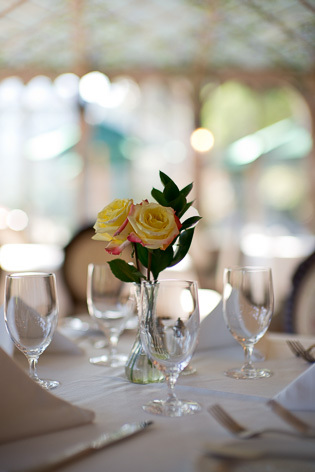 To utilize the Noctilux at f/1.0 or f/0.95 you will need a ND-filter to shoot in sunshine. A ND-filter is a Neutral Density filter, simply a grey glass or "neutral sunglasses" for the lens. I use B+W Filters and would recommend their 3-stop SLIM ND filter. When buying the Noctilux on eBay, notice that it's become a bad habit listing the Noctilux 11821 as an 11822, and as ASPH. And then not telling if it is an E58 or E60 lens. If you get the serial number it's easily determined what model it is (based on the above overview), and it's easy to figure out on a photo that a 11821 is not a 11822 because the 11822 has a built-in lens-shade. In any case, it's not something that build trust in the seller before handing over 6,000 - 8,000$ which is the going price for a normal looking used Noctilux f/1.0. In 2016 Leica started delivering their own ND-filters for a series of lenses. 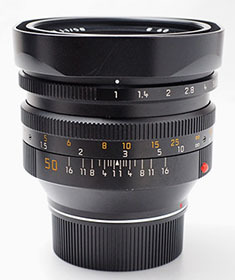 The 60mm 4-stop (16X) ND-filter fits the Leica 50mm Noctilux-M ASPH f/0.95 and the previous version with 60mm perfect. That it is 4-stop makes it suitable for also the Leica MM and Leica M 246 Monochrom where the sensor's base ISO is 320. With a 4-stop ND filter in sunshine you can stay exactly at 320 ISO, 1/4000 second and f/0.95 and get the exposure right. 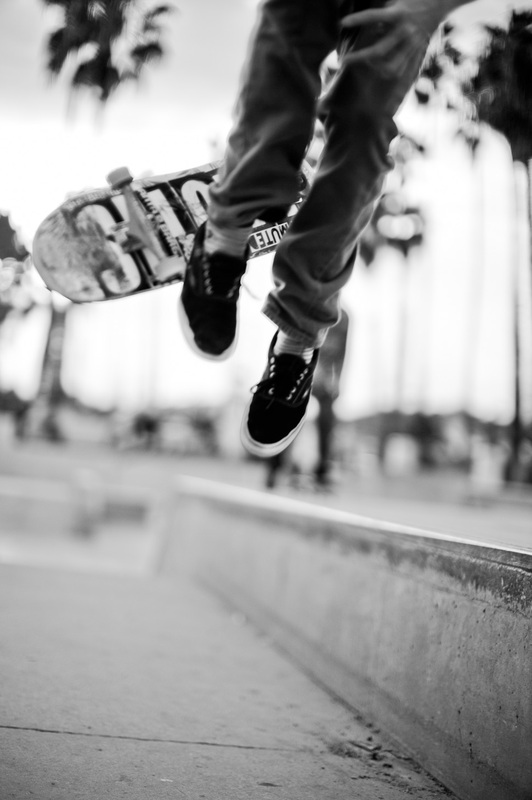 With a Leica M 240 where the base ISO is 200, it would be 1/3000 second at f/0.95. The filter seems to have a little smaller metal edge than others, which is relevant for the Noctilux so as to make sure not to get the filter ring in the corners of the image. In practical use it seems not to have any importance. The three images show the 25% of the upper top left frame of the image. As can be seen, botht he filters affect the corners, as well as the colors. 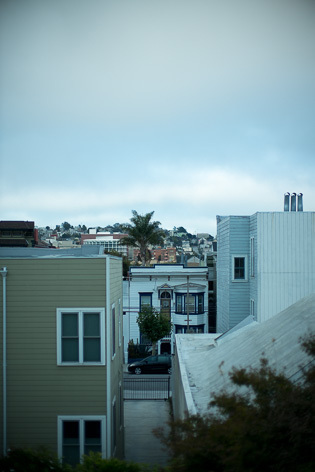 What I did notice when I got the Leica ND-filter was that it had a blue tint. ND-filters means Neutral Density, which imply that they don't affect the colors or contrast. 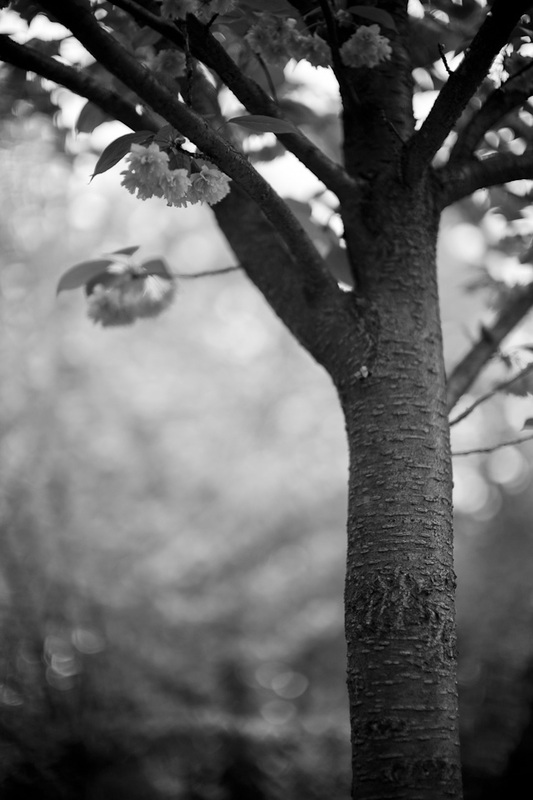 As you can see in this test, both the B+W and the Leica ND filter affects the colors slightly. The Leica more to the blue side. The Leica ND filter is $150, the B+W is $110 and Heliopan is $117. The 60mm range doesn't offer that many different filters as for example 46mm where you can get filters from $40 and up. I've tested several different ones and I haven't found the quality was better in more expensive filters. Florida. Leica M10 with Leica 50mm Noctilux-M ASPH f/0.95 FLE. © 2017 Thorsten Overgaard. I also know from previous tests of ND-filters that a 3-stop ND filter from B+W or Heliopan isn't necessarily exactly 3 stops. They are often off with up 1/3 to 1/2 stop. 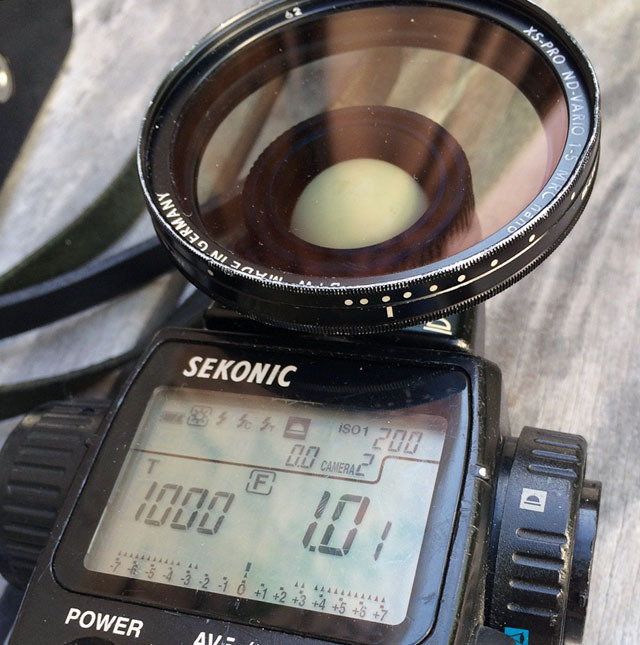 The lesson from this is that you should use a WhiBal card to set the white balance with the filter mounted, and if you use external light meter, you should measure your ND-filters exact strength so as to be able to calculate the exposure. As for the exposure, it's 1/3 - 1/2 stop so you will be able to adjust that in Lightroom later. But just in case you want 100% precision, don't rely on what the ND filter say, but what it measures. Ironically, just as Leica Camera AG announced that they would be making ND-filters, they also introduced am new strategy on their cameras. The Leica SL and Leica Q are both able to photography with any lens without the use of ND-filters. 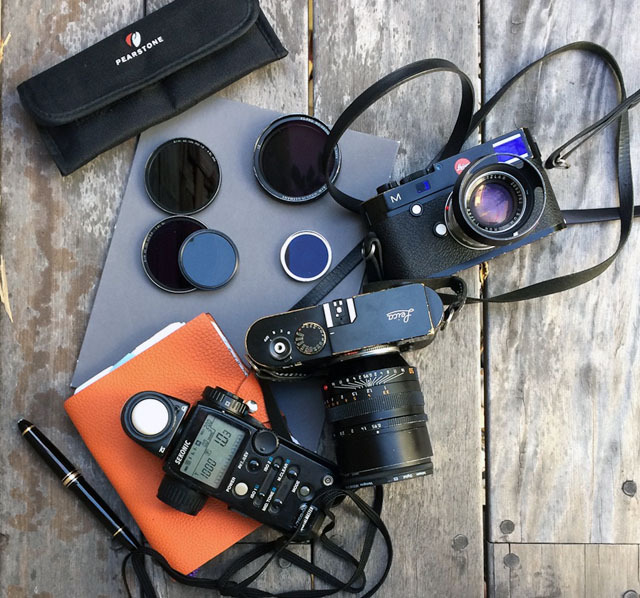 The Leica Q is designed with a f/1.7 lens and an ISO and fast electronic shutter so you don't need an ND filter for that camera even in sunshine. The Leica SL is designed with a low 50 ISO and a high electronic shutter speed so you can use that camera without an ND-filter, even a Noctilux f/0.95. The upcoming replacement for the Leica M 240 (Leica M11 or Leica M 241) will most likely follow this strategy. 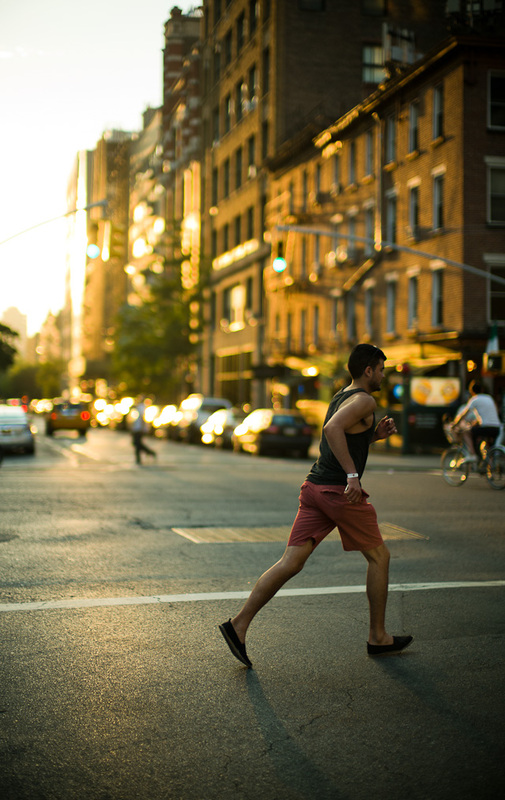 "Jaywalking in the People's Republic" give and idea how a wide open lightstrong Leica lens treats highlight and shadow. 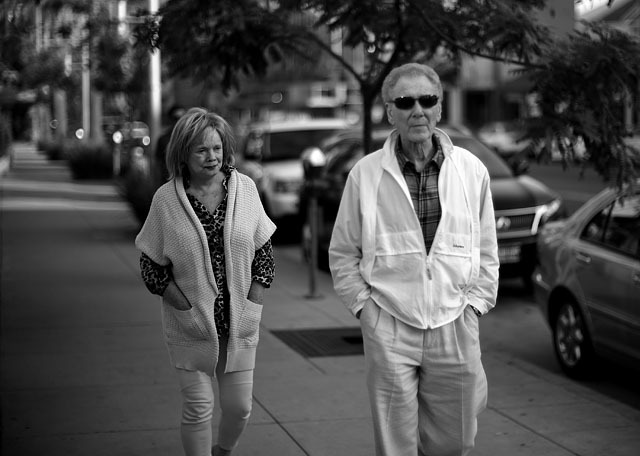 With Leica M 240 and Leica 50mm Noctilux-M ASPH f/0.95 and B+W Neutral Density filter. © 2014-2016 Thorsten Overgaard. The big Noctilux question of course is, "should I get the f/1.0 or the f/0.95". A very relevant question we all should ask ourselves, and one I asked myself. I always wanted both the f/1 and f/0.95 Noctilux but I knew the f/0.95 was better. "But the f/1 is historic", I thought, and I was looking if it had a special look for me, like the 50mm Summicron f/2.0 from 1964 I have used a lot (Version II it is called). 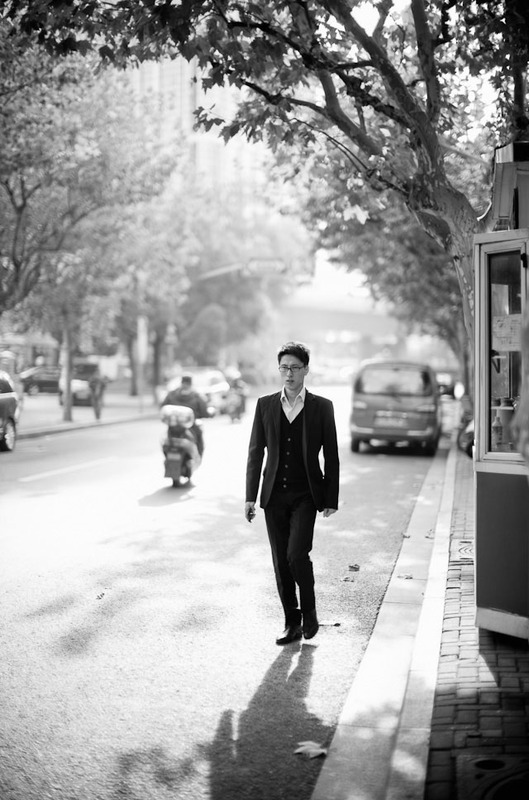 Bosco Wong. Hong Kong, November 2013. Leica M 240 with Leica 50mm Noctilux-M ASPH f/0.95. © 2013-2016 Thorsten Overgaard. 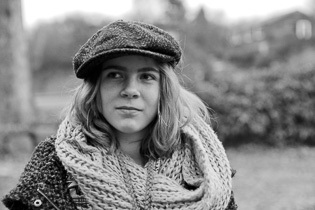 Fortunately I got the f/1.0 first from a friend who had one that was like new and didn't fancy to use. So I shot with that for almost a year, then Camera Electronics in Australia had me do a workshop there and asked teasingly if I wanted to sell it ... they had three of the new f/0.95 in stock. That is what happened, and I have been using the f/0.95 ever since. And don't miss the f/1.0. 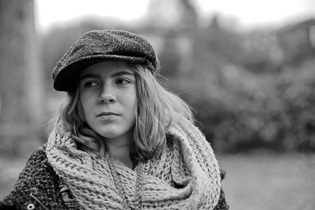 My conclusion is that the f/1.0 doesn't posess a special look that distinguishs it from the f/0.95 or makes it special. 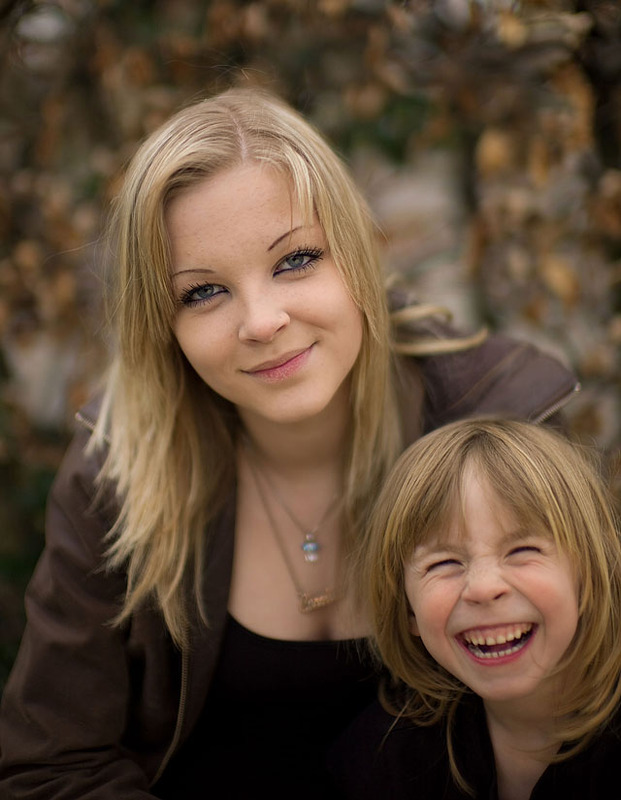 They have the same look, just the f/0.95 has a better look in my opinion. Jakarta, Indonesia. Leica M 240 with Leica 50mm Noctilux-M ASPH f/0.95. © 2013-2016 Thorsten Overgaard. What I think might have happened if I had started with the f/0.95, I would have wanted to use the f/1.0 as well and would have ended up with both of them. So in many ways it was the right sequence, the way it happened. I got to be part of the history before I arrived to the present time lens technology. I'm nostalgic, but I'm also practical. My experience with them both is that the f/1.0 is special, but the 0.95 has the same special look, just better sharpness in details, less dark corners, better control with light and bokeh. So all in all there is no special look of the old Noctilux f/1.0 that the new f/0.95 doesn't have. 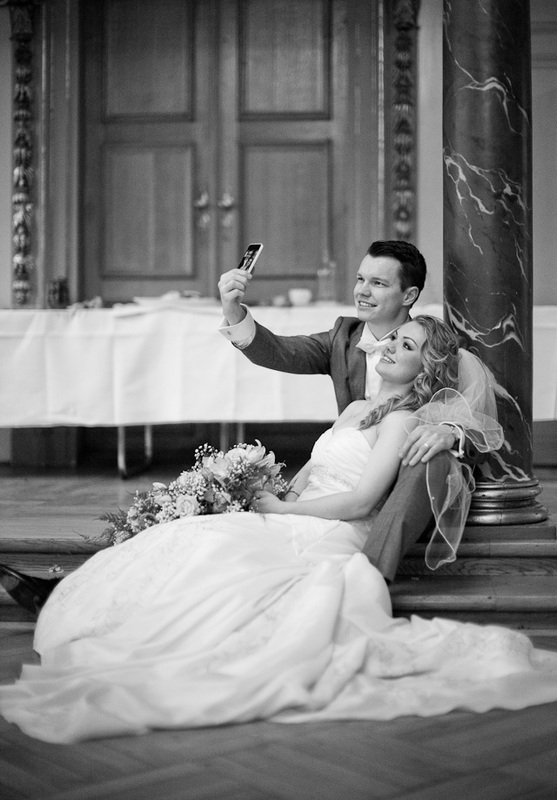 The Wedding Photo. 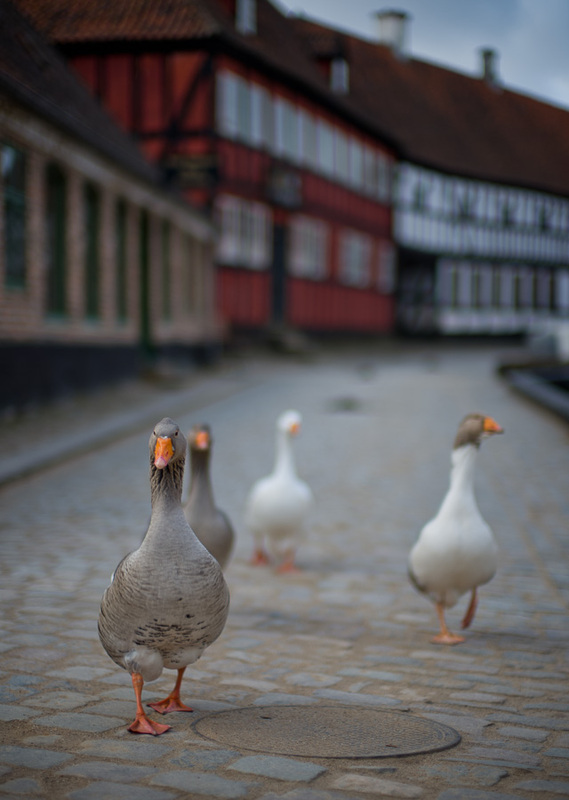 © 2014-2016 Thorsten Overgaard, Leica M 240 with Leica 50mm Noctilux-M ASPH f/0.95. That's my story. If one feels attached to the f/1.0 - feels that there is something to be gotten and learned from that one, a history to be part of - I would get it to get over that. 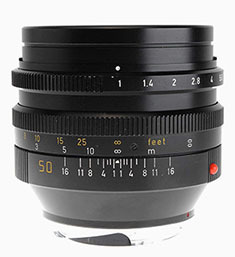 And I would get the 60mm filter diameter model, not the 58mm and not the latest version 60mm with plastic hood. The older 1980's model with bayonet hood and 60mm filters is the one I wanted, and the one I had. 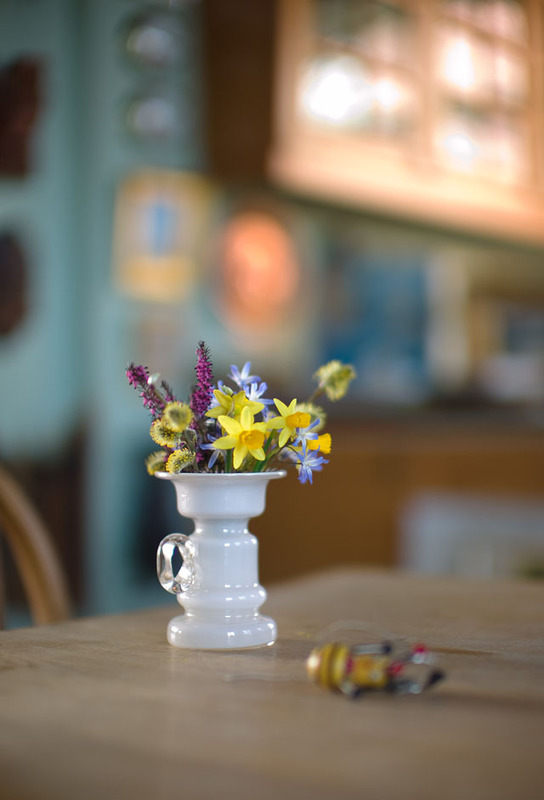 The older 60mm filter diameter Noctilux has a great balance and feels just right on the camera. I see many who over-protect their f/0.95 Noctilux, and I understand why. It has a different weight distributon and you fear that it might get damaged easily. 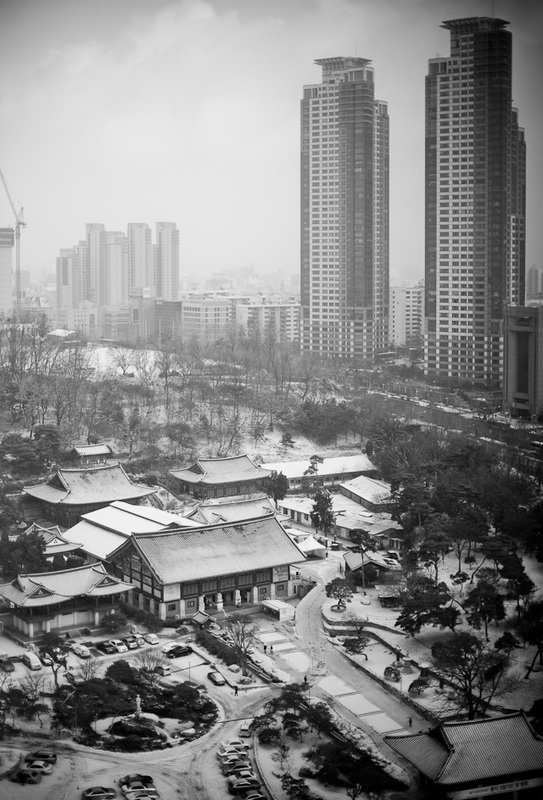 The streets of Seoul, December 2013. Leica M 240 with Leica 50mm Noctilux-M ASPH f/0.95. © 2013-2016 Thorsten Overgaard. However, I decided to treat it like any other lens. Meaning it bumps into things, scratches walls and lays on the floor if it has to. These are handmade lenses, so they can be repaired for scratches, bent lens shades and all. Any piece of a Noctilux can be replaced or repaired. I had my lens shade bend and Leica Customer Service put it back to shape in 5 minutes. Later I had them take it apart, clean it and make sure it was 100% adjusted. They changed the bayonet as well, all in all for 254 Euro. They might be expensive lenses to buy, but they maintain their value and the spare parts are not expensive. 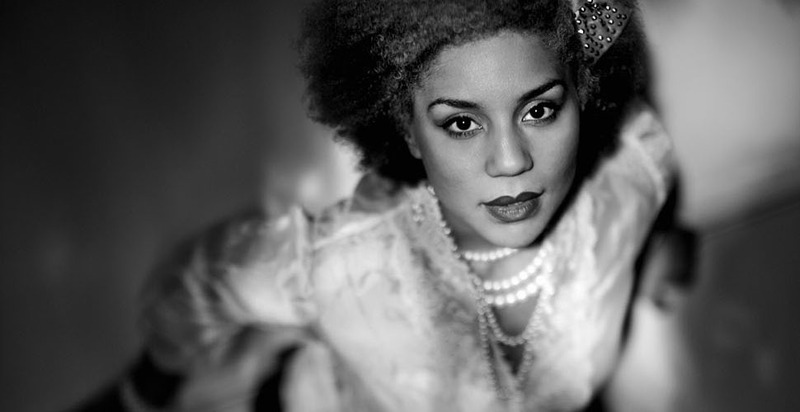 Doing portrait work at the Overgaard Workshop in London, January 2014. 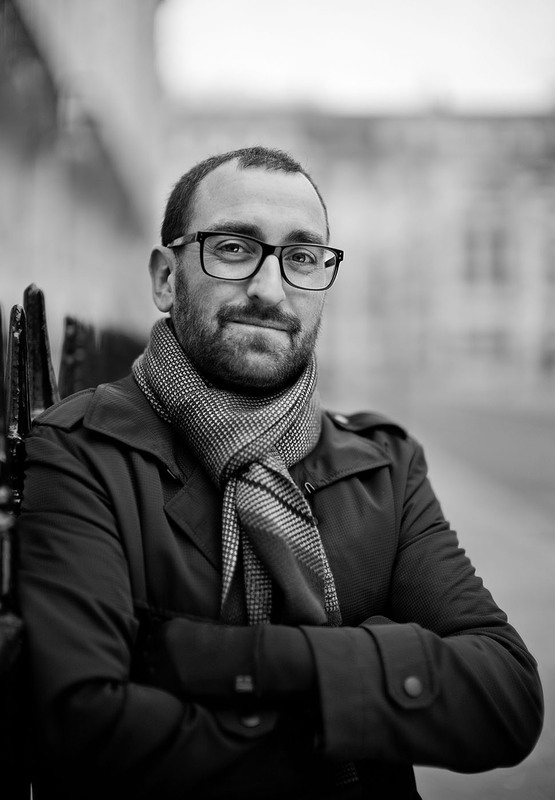 Here the subject is workshop participant Richard Harris who also happens to have a very intersting blog. Leica M 240 with Leica 50mm Noctilux-M ASPH f/0.95. If on the other hand one does only consider the f/1 to save money, or one think the f/0.95 is hard to get, then I would simply get the 0.95 straight away. Rumor is that Leica does not make money on them, and if true, that means they will change or go up in price. And historically, the f/1.0 cost the same or more now second-hand as it cost from new when they still made them. So as for price of the lens ... it's just a consideration. In real life, if it was 5K, 11K or 22K it is just a matter of decision to get it. Berlin. Leica M 240 with Leica 50mm Noctilux-M ASPH f/0.95. © 2013-2014 Thorsten Overgaard. 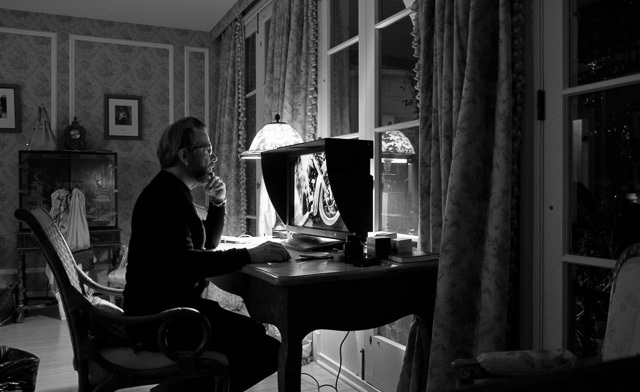 For me I feel it is important to be part of the Leica history. I want to be in the place of a photographer using a Leica M3 with a (now) classic lens. I mean, I want that too. I don't just want to skip all that history. And that is what I mean when I say plot your own Leica lens family tree. You may likely want to benefit from the latest and best (as in preceise) lens design, but you have to plot your route to get there so you don't miss out on the old lenses. If you feel like me, that you want that experience. 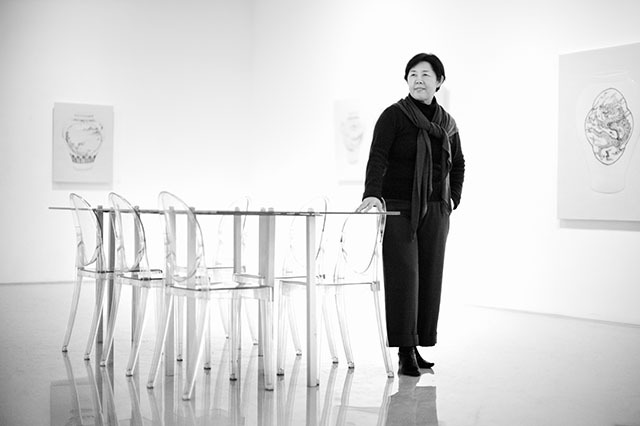 "The Art Dealer", Seoul December 2013. Leica M 240 with Leica 50mm Noctilux-M ASPH f/0.95. © 2013-2016 Thorsten Overgaard. 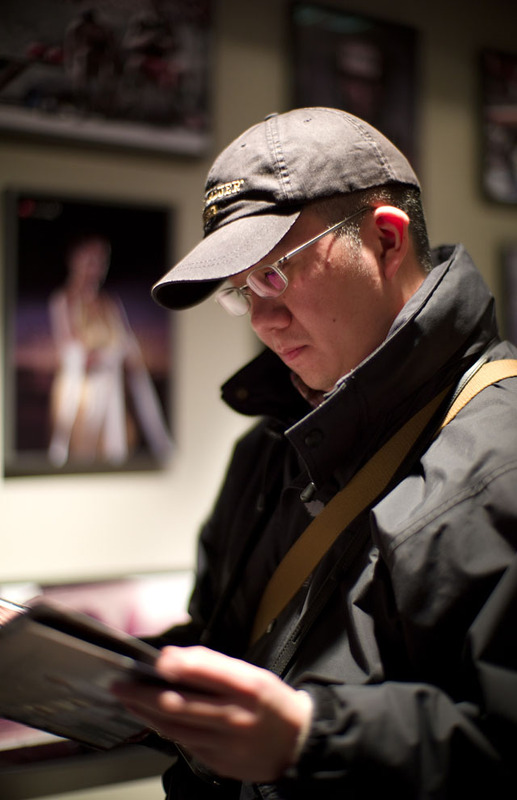 I shot almost exclusively with the Leica 50mm Summicron-M f/2.0 with the Leica M9 for two years after the M9 came out. I was afraid to look Peter Karbe in the eyes when I saw him at the factory. 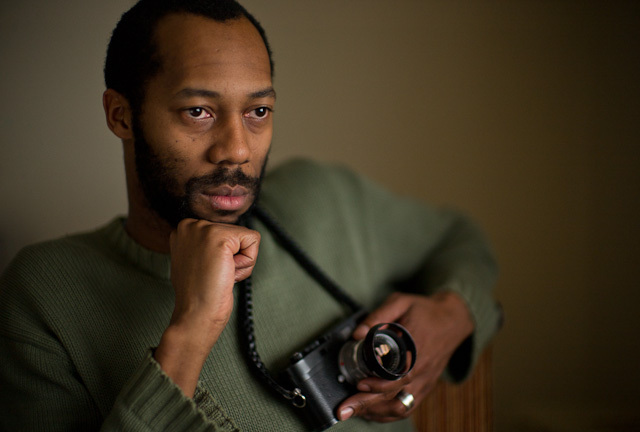 I felt guilty shooting with an old Mandler-designed lens when Peter Karbe had made so outstanding new lenses. For my part I happened to have the 50mm in a Leica M4, and despite the less perfect colors rendered through old glass, I made it my look and found some qualities in shooting against the light with this lens that replaced my previous preferred kit, the Leica 80mm Summilux-R f/1.4 that I had used on the Leica R9 with both Fuji Astria slidefilm and the DMR digital back. Autumn in Denmark, November 1, 2013. 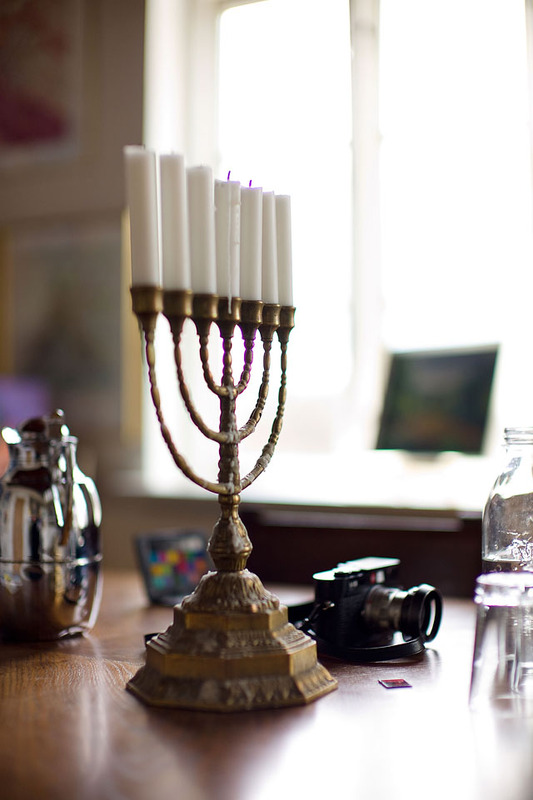 Leica M 240 with Leica 50mm Noctilux-M ASPH f/0.95. I am happy to say that I have shot the Leicaflex film cameras, the Leica R9, the Leica 80mm Summilux-R f/1.4, the Leica 35-70mm Vario-Elmarit-R ASPH f/2.8 and probably some other lenses, to a point where I am done with them. 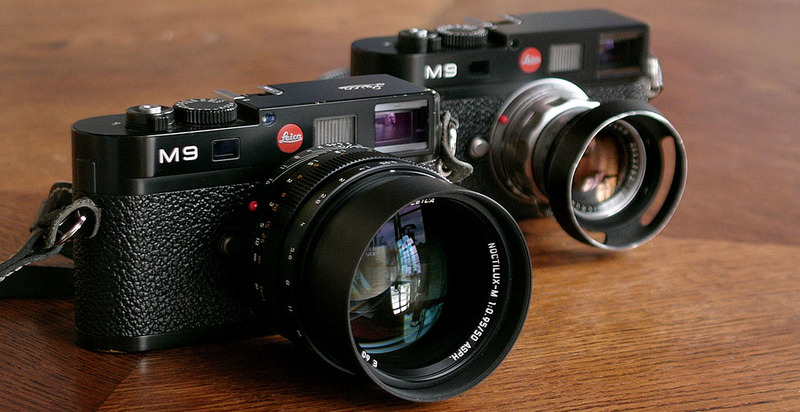 I've used them, but I have also realized that newer lenses and new kits as the Leica M9 and Leica M works for me. For me it is important, if I have that itching feeling in the fingers and my heart beats faster, to get that camera or that lens. To be part of the hype, the history, the silliness, the next big thing or whatever it might turn out to be, while is is still alive. To have been part of it, to have tried it. It's like having been in New York in the 80's (which I regrettably wasn't) when the art scene was glowing. I wasn't, but I was alive during the Punk Rock scene in Europe. I didn't enjoy it, but it is great to have been there. If you understand what I mean. All creation is a process, which means that you are wiser and better equipped after you have done something. So it is important to do things and try things, as a mean to get on with the next step. Paris Cafe, Hamburg, Germany, January. 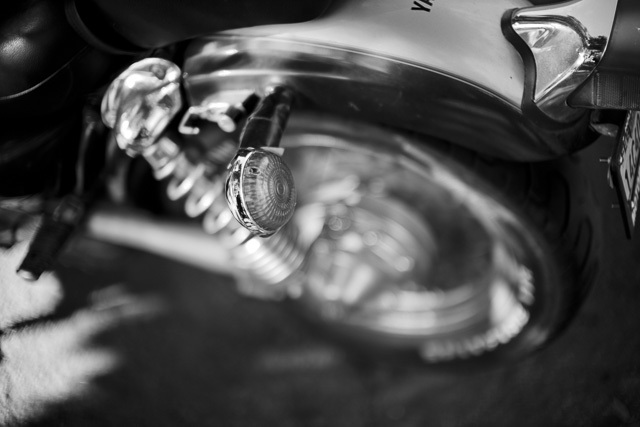 Leica M Monochrom with Leica 50mm Noctilux-M ASPH f/0.95. 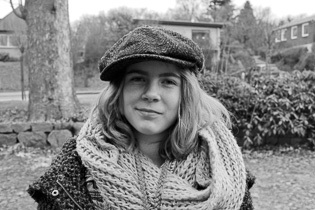 © 2013 Thorsten Overgaard. 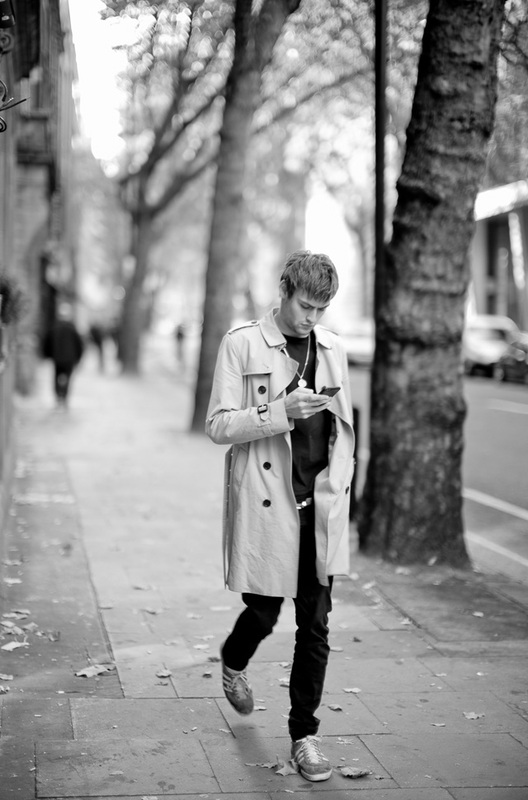 Sunday morning in London, October 2015. Leica M 240 with Leica 50mm Noctilux-M ASPH f/0.95. © 2015-2016 Thorsten Overgaard. My dentists window. Leica M10 with Leica 50mm Noctilux-M ASPH f/0.95 FLE. © 2017 Thorsten Overgaard. What is the Noctilux signature? Maybe the reason Noctilux is so special is that it is balancing on what is physical possible. A so wide opening of the lens that the light must be absolutely out of control, yet controlled with magical skills and super glass so that what is essential is actually under full control. Since the 50mm Noctilux f/1.2 with the asphere technologly of 1966, the development of lenses has moved towards higher performance through glass technology since 1975, and with addition of further glass technology, floating elements, APO, more compact focusing mechanisms inside the lenses and ways to mount the lenses, in recent years, we arrive at what is possible today. The Leica 50mm Noctilux-M ASPH f/0.95 and The 50mm APO-Summicron-M ASPH f/2.0 to mention the two most extreme lenses: Both requires new technology in the production to grind and seemble the lenses with sofar unheard tolerances. 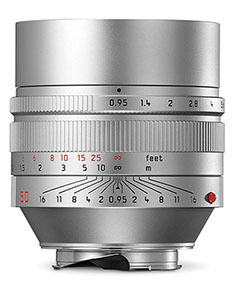 It is worth noticing that the design team at Leica Camera AG aimed at making the 0.95 Noctilux the same size as the f/1.0, but having to increse the aperture hole through the lens 5% and include shorter focus tread and a floting element! 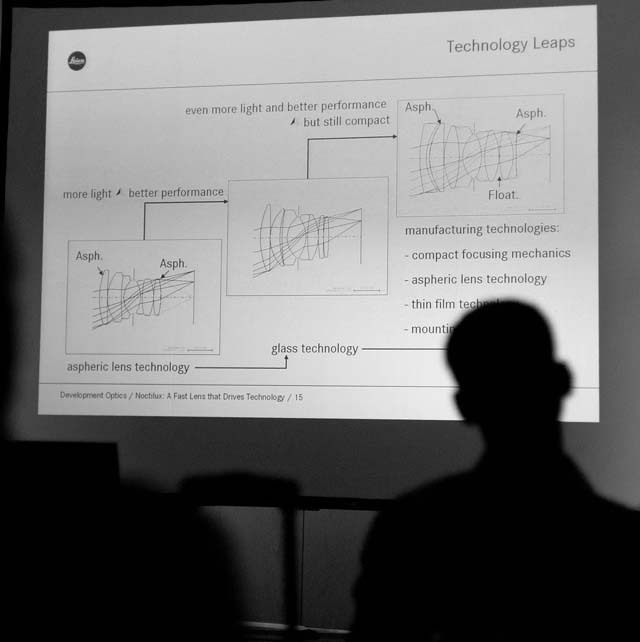 From Peter Karbes lecture on the Noctilux and how the want for fast lenses drive technology. September 2010. © Thorsten Overgaard. 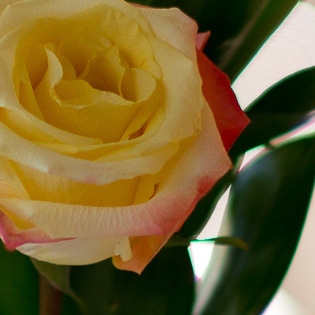 Macro photo of a rose using the Leica M10 with OUFRO macro adapter and Leica 50mm Noctilux-M ASPH f/0.95 FLE at f/2.0. © 2017 Thorsten Overgaard. 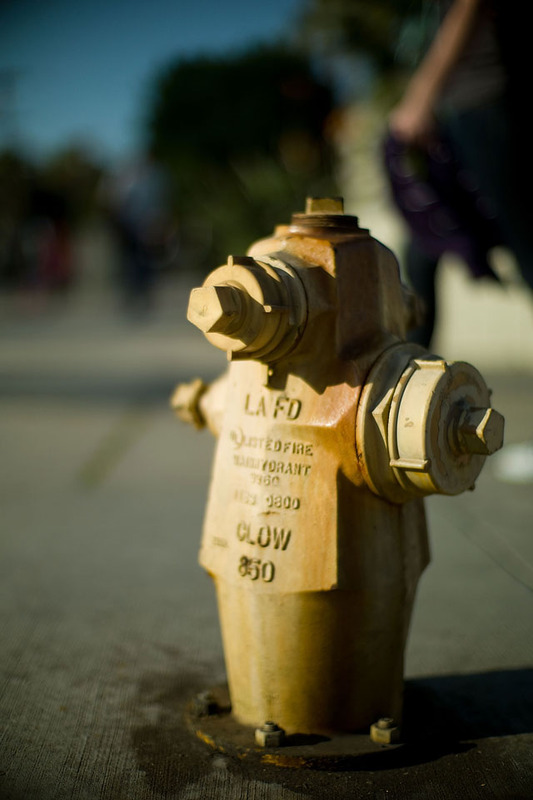 The f/0.95 is an engineer concept rather than a photographic or light-technical term. To explain the principle simple; a 50mm lens means that the distance from the film/sensor plane to the center of focus in the lens is 50mm. Likewise, there is 400mm from the film/sensor plane of a 400mm lens to the center of that lens' focus axis. To most of us, 50mm is an angle of view, but to an engieneer that is what the 50mm refers to. The same goes for each of the following f/ stops. So f/2.8 is 50mm divided with 2.8, f/8 is 50mm divided with 8 and so on. Each step is a halving of the amount of light passing through the lens (which is the only real measurement of value for a photographer; the amount of light rather than the diameter). 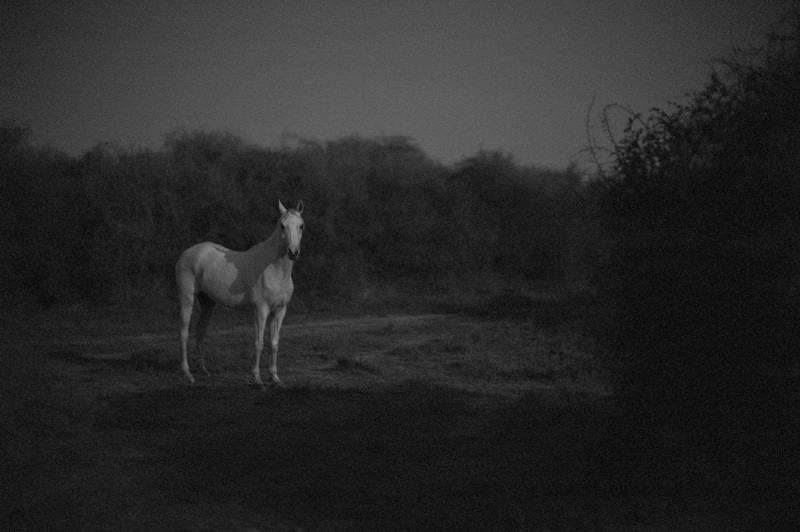 Horse by moonlight in Qatar, January 27, 2013. © Thorsten Overgaard. 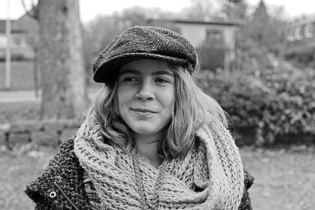 Leica M Monochrom with Leica 50mm Noctilux-M ASPH f/0.95. 6400 ISO. Photography is an interesting art form in that it allows us to create great images and aesthetics with much fewer technical skills than the classic painters spent years to learn. And we can do them in seconds where a painter must use days, weeks or months. 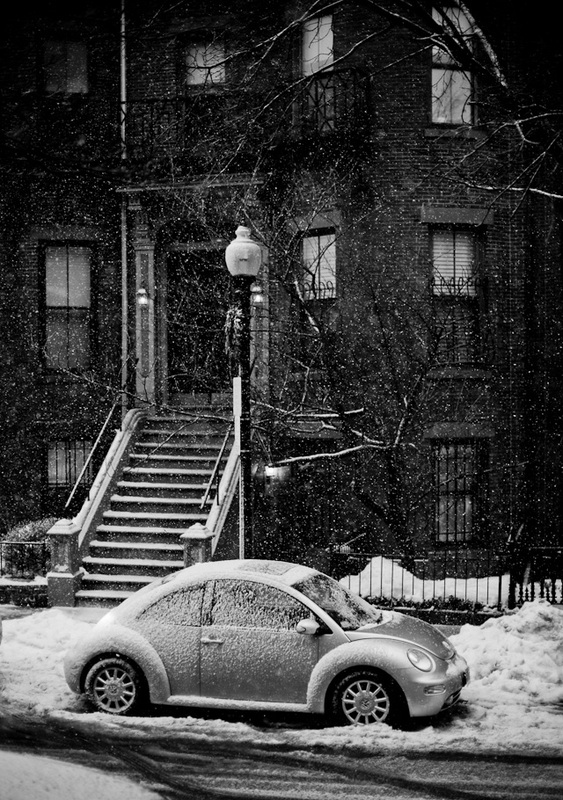 Boston: "Home, Sweet Home" - I was waiting 10 minutes in wet snow for someone to walk into my composition to the right of this picture when I turned left and saw this house with the VW in front. I had been walking for two hours in wet snow and my face, hair, glasses, camera and viewfinder were so wet I could hardly focus. I shot two frames of this and then turned back to wait for someone walking in to my composition. 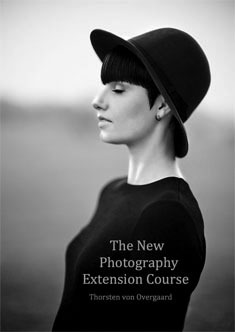 A large part of the technique of how to 'describe' light rays and the micro details in an image and manage light to create an overall pleasing and aestetic - and often truthful - dublicate of reality lies in the hands of the lens designers such as Peter Karbe. As Erwin Puts write about the 1993-2008 version of Noctilux-M f/1.0 in his Leica M Lenses book: "One could say that the 50mm Summicron f/1.4 draws with a very sharply pointed pen and the Noctilux with a slanted pen to produce broader and smoother strokes. A special characteristic of the Noctilux is its shape preservation in out-of-focus- areas, bringing a remarkable depth of vision. Its penetrating power in ‘unavailable’ light produces stunning images that show finely graded details in lowly lit areas of the scene. " 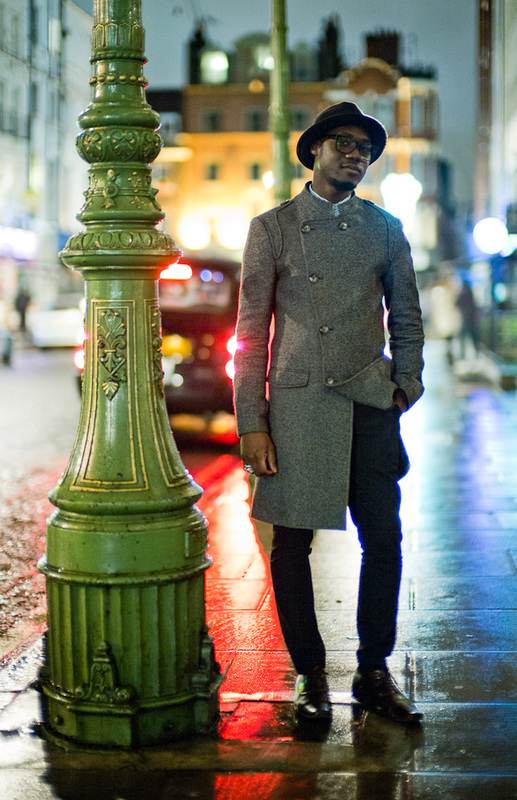 London photographer and a known face from his work at Leica Store Mayfair, Arteh Odjidja posed for me in the rain at the "Coffee & Leica Freaks Meetup". 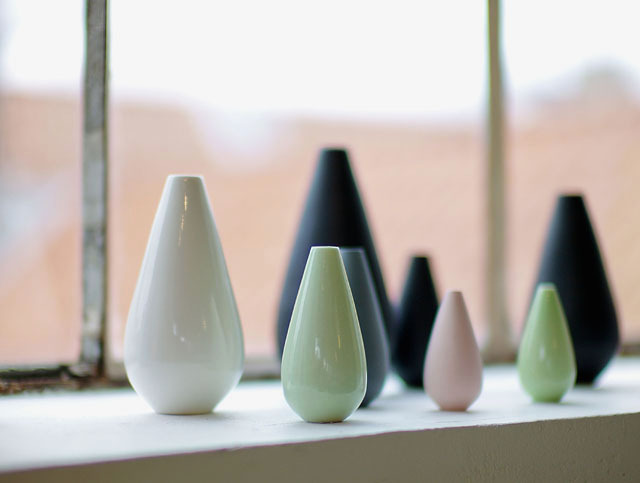 Always stylish in person as well as in his work which can be seen at the website http://arteh.co.uk. Leica M 240 with Leica 50mm Noctilux-M ASPH f/0.95. For some photogtraphers the exotic and very unique characteristics of the Noctilux look is the reason to acquire this lens. Others see it as a means to low light photography. Truth is that it's both a low light lens and an unique fingerprint. If one feels like it there is a Flickr group displaying images taken witht the various Noctilux types. List price of the Noctilux-M ASPH f/0.95 is 10,995$ at B&H Photo Video. As a side note, a 75mm "Noctilux" f/0.85 prototype was produced in the late sixties (for Leica M3), as was a few prototypes of a 52mm "Noctilux-R" f/1.2 for the Leica SLR cameras. But the Summar 75mm f/0.85 was actually already made in 1933 to be used for the 1936 Berlin Olympic Games; but for video projection of the games to a nearby press room. The lens was repordly so soft wide open (and large: 90mm in diameter) that it was useless for ordinary photography. 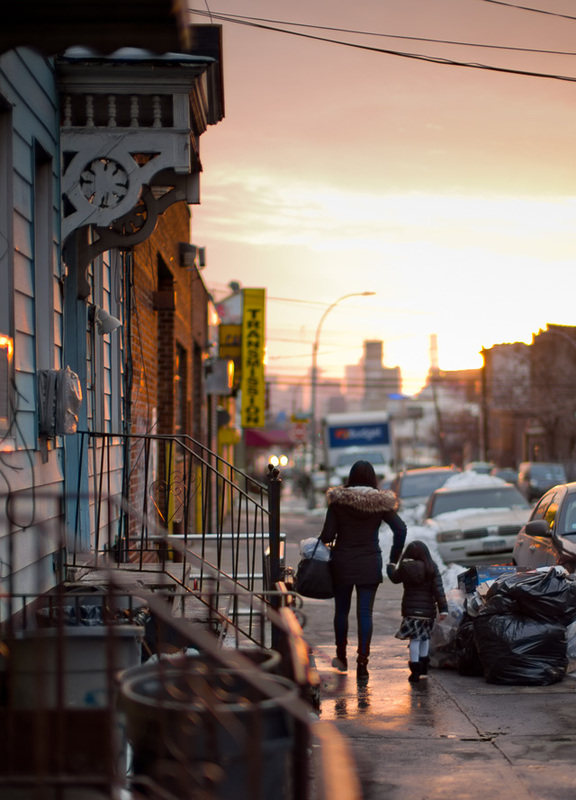 Sunset over Greenpoint Avenue, Long Island, New York. Leica M10 with Leica 50mm Noctilux-M ASPH f/0.95 FLE. © 2017 Thorsten Overgaard. The 1965	ELCAN-M Noctilux f/1.0 on display in the Leica Store Seoul. (produced for the US millietary, designed by	Dr. Walter Mandle). © 2013-2016 Thorsten Overgaard. The Leica 75mm Noctilux is a reality. Or at least, so far, as prototypes. The promised delivery date was January 2018, but is more likely to start dripping out in March-April 2018 with a slow delivery. Some might fall off the waiting list for this expensive lens, as the wait gets longer. I know a few, and I haven't personally decided other than that I will decide my need when I get the call from the dealer. Till then I've been playing around with the 50mm Noctilux f/0.95 on the Leica TL2 and the Leica CL to try to get an idea how it will be. On both those cameras, the 24MP sensor in APS-C format crops the 50mm to a 75mm. But I do expect the lens design to be improved, more precise, and the bokeh more smokey. 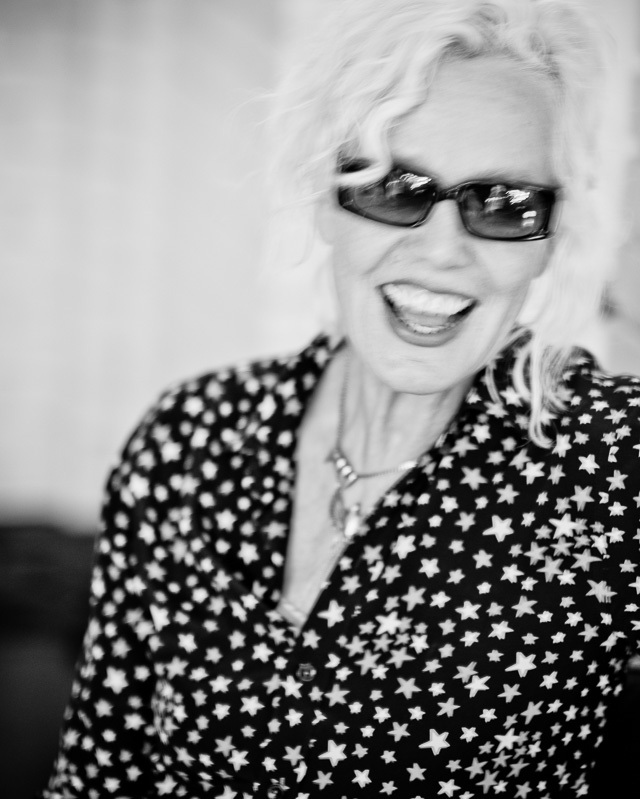 Ellen von Unwerth with a "75mm Noctilux". 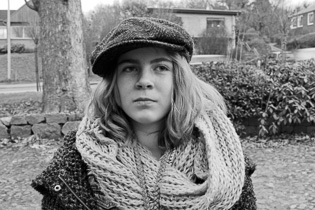 Leica TL2 with Leica 50mm Noctilux-M f/0.95 ASPH (which is a 75mm crop due to the APS-C sensor on the Leica TL2). © 2018 Thorsten von Overgaard. See my video on Magic of Light Television (coming March 15, 2018) on using the 50mm Noctilux f/0.95 on the Leica TL2 (thus making it a 75mm due to the cropped 24MP sensor on the Leica TL2). 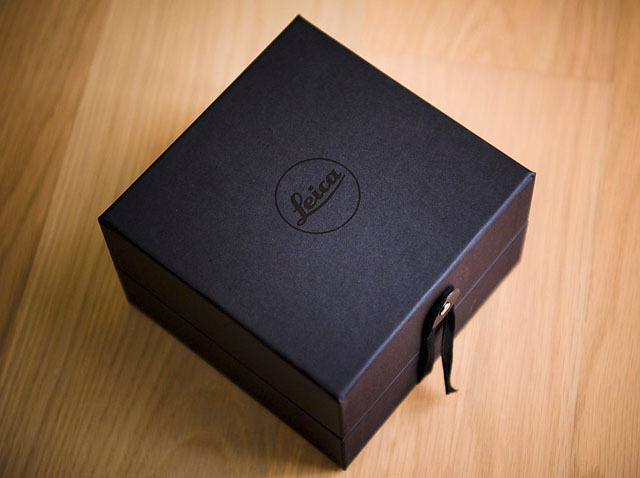 In the same breath I should mention that Leica as a special farewell guesture to the 1975-2008 Noctilux era made the last 100 Leica 50mm Noctilux-M f/1.0 lenses a special edition batch in a special box, selling for the price of 10,000$ each, most of them snapped up by collectors. The Leica 50mm Noctilux-M f/1.2 is a rare one to get. It's not a great(er) lens compated to the latter f/1.0 and f/0.95, but it is extremely rare. However, a real rare version of this lens was sold at Westlicht Auction 144,000 Euros ($186,100) - a prototype chrome Leica 50mm Noctilux f/1.2. Now that I said chrome Noctilux, I want one! 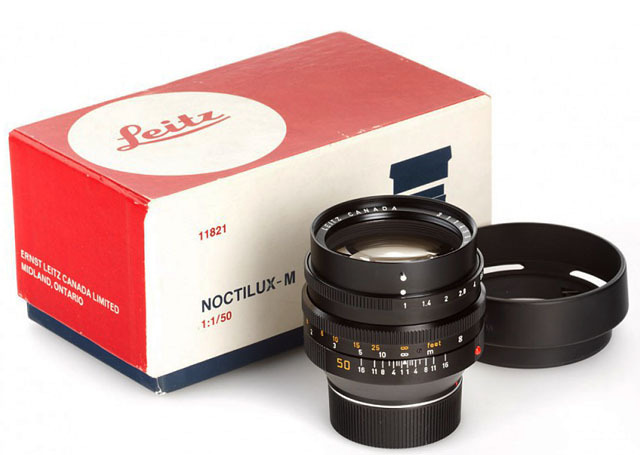 The Noctilux design dates back to the Leitz 50mm Xenon f/1.5 screw mount lenses that was produced from 1936-1950 (Schneider) and the Leitz 50mm Summarit f/1.5 lens from 1949-1960. For real lens geeks, the first 1966-Noctilux was a classical double-Gauss six element design, except that the first and the last lens surface was aspherical. When Mandler designed the 1976-replacement, he reverted to the Xenon design in the rear of the lens. (The old Taylor & Hobson design that became the 1935 Xenon f/1.5 became the first in a long consecutive line. The bird man. 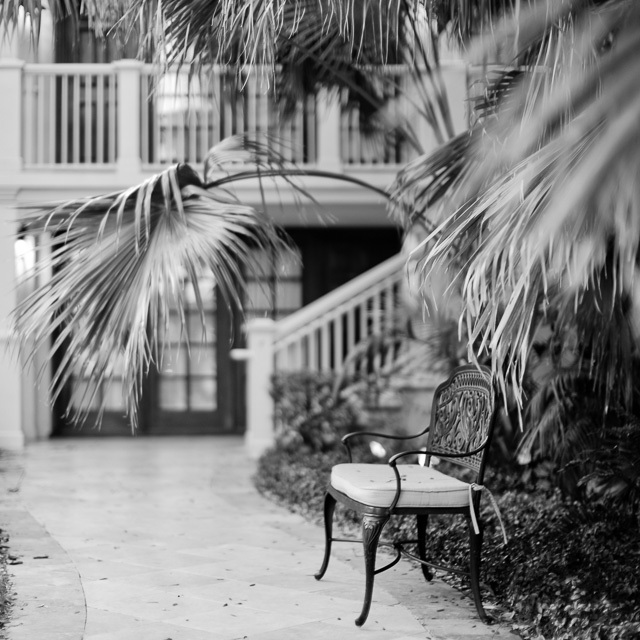 Leica M Monochrom with Leica 50mm Noctilux-M ASPH f/0.95 with B+W 3-stop ND filter. 320 ISO, 1/2000 second. © 2013-2016 Thorsten Overgaard. 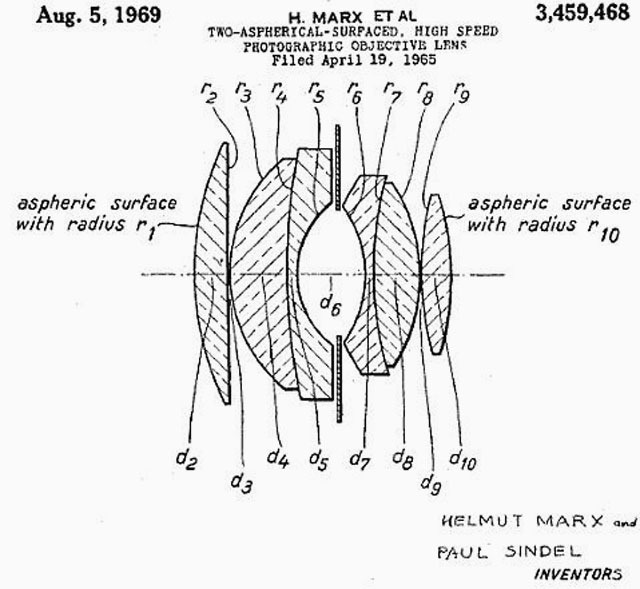 The characteristic feature was that the last element of the classical Gauss design had been replaced with two thin bi-convex lenses (this design was much used by Japanese manufacturers of superfast stasndard lenses after the war). The Xenon, with coating, became the Summarit f/1.5, replaced in 1960 by the first Summilux, which actually was engraved "f/1.5" in the very first specimens. This design was clobbered by the Japanese, and in the winter of 1960-61 it was surreptitiously replaced with the differently designed, but still seven element, Summilux that was current until 2002 - probably the Leica record). 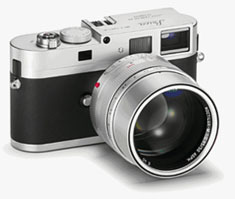 One of 40 pieces of the 50mm Leica Noctilux-M ASPH f/0.95 Limited Edition Silver. 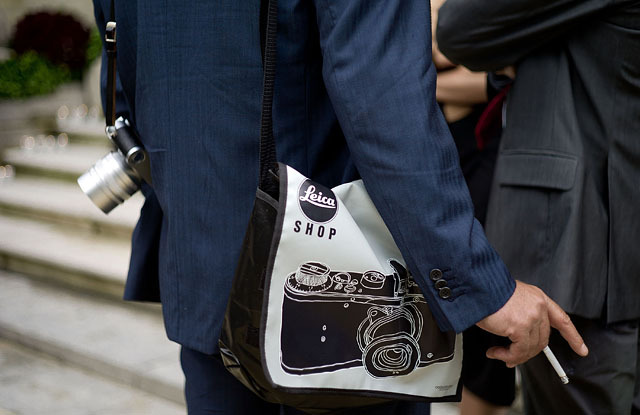 It may be hard to get hold of, though the bag can be ordered online at Leica Shop Vienna. 25th Anniversary: The Vienna Limited Edition has a different barrel design. 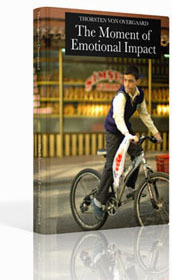 Celebrating the 20th anniversary of the Leica Shop Vienna on June 16, 2011. 40 piece Limited Edition; 20 of them came with a matching Leica M9-P silver, another 20 pieces came with a Leica M3-P analog film camera, and perhaps 10 or less came without a camea. It was, and is, a beauty. 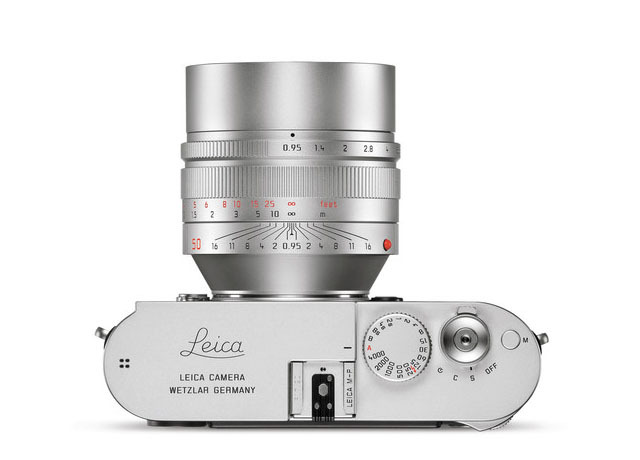 However, when Leica three years later announced that the silver chrome Noctilux f/0.95 was now available as a normal edition in stock (for $400 more than the black edition) it took some of the glory away. And probably the collectors value as well for those collectors who had bought the limited edition. Five years later, Vienna strikes back at their 25th Anniversary, this time with 50 limited editions of the Silver Noctilux, but with a different barrel design. The price for this was set to $15,000. For their 25th anniversary Leica Shop also offered 25 sets of Leica M-A (Typ 127) in "hammer tone" body, with the silver Noctilux ($37,000). Leica also came up with the ida of making a Dupont 0.95 series of lenses (as well as lighters, pens and keyrings). It took a long while for it to move from prototype and promotion piece to acutal lenses. In actual fact, I have never seen any of those Noctilux lenses in the real world (bot some do exist). The special idea of the Dupong 0.95 edition is that all engravings are blacked out. Only the essential aperture f/0.95 is engraved with white paint. The barrel design is also slightly different. The series consist of 95 numbered pieces. I would love a Noctilux Solo. 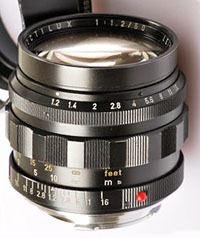 A Noctilux f/0.95 with no aperture ring inside the lens. Just wide open, and instead of the aperture mechanism, one can turn an internal ND filter on and off (such a mechanism exists on the 19mm f/2.8 R-lens that had the possibility to change between no filter, internal colored filters, or ND filter). I might actually buy a set of screw-drivers and make some myself. 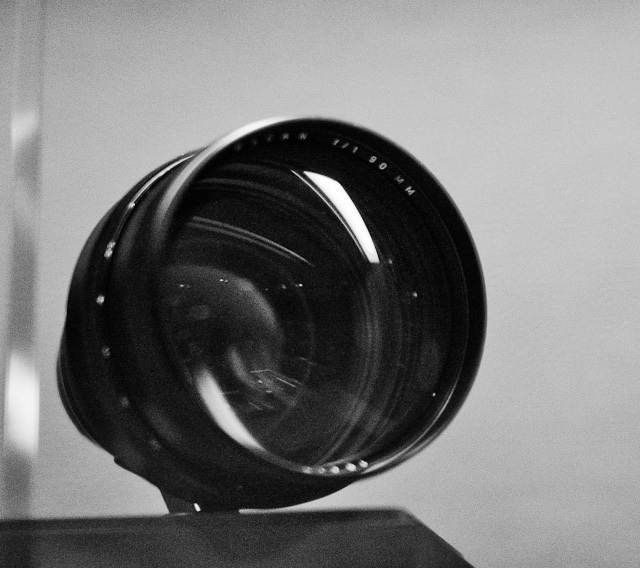 Such a lens would follow the lens designer Peter Karbe's advice, "Never stop down a Noctilux". From September 2014 the Noctilux was available in silver as well. 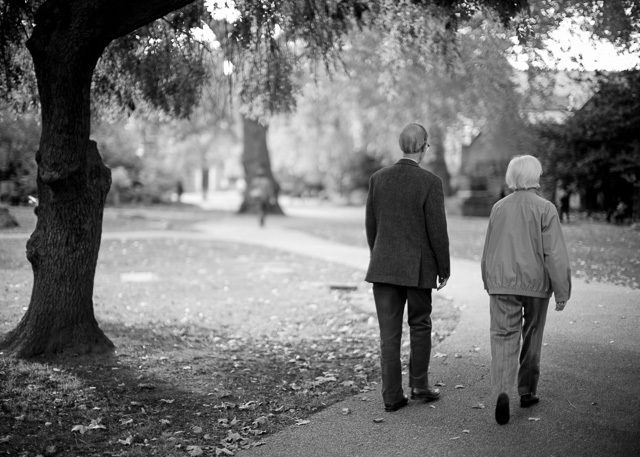 From September 2014 the Noctilux is available in silver. Same weight as the black Noctilux edition. 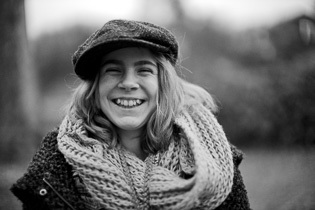 Leica M9 and 50mm Noctilux-M f/1.0 (1993-2008 edition), 400 ISO, 1/125 second. I did this series of photos below as I got involved in a discussion if the bokeh (the shape of the out-of-focus areas) was better at f/0.95 than at for example at f/5.6. I had actually never ever shot a Noctilux on other f-stops than f/0.95, f/1.0 or f/1.4. To me the whole reason to use a Noctilux was to use it wide open. In any case, here is the samples which I guess can prove anything. Only thing that is certain is that the depth of field changes. If one is more pleasing than the other - that is a subjective opinion of each Noctilux shooter. There are some artistic considerations to do, as well as some technical as the Noctilux will become sharper and more contrasty overall as the aperture moves towards f/16. It's an very interesting series to study for reflections, play of light, bokeh and all. How many f-stops does it take to outcreate the Noctilux - to make it into a 50mm Summilux or 50mm Summicron. Or is that even happening at all. Judge for your self. Some might argue I should have compared it to the 50mm Summilux-M ASPH f/1.4 and the 50mm Summicron-M f/2.0. But well, I didn't. I was just curious to see what the actual effect would be - and I choose a setting with strong backlight as I usually do when I want to test a lens for myself (I'm always interested to see how a lens handles extreme ligth; and I usually want to shoot my pictures with strong backlight sources as welll). 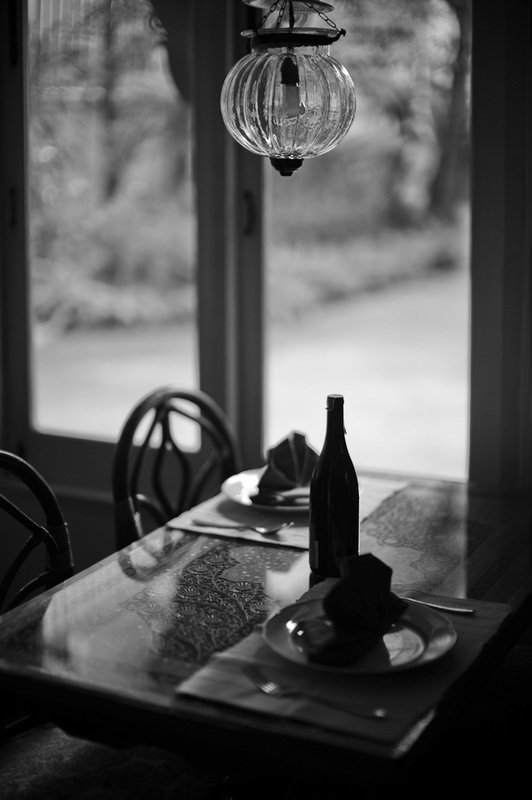 0.95: Leica M9 with 50mm Noctilux-M ASPH f/0.95 @ f/0.95, ISO 200. 1.4: Leica M9 with 50mm Noctilux-M ASPH f/0.95 @ f/1.4, ISO 200. 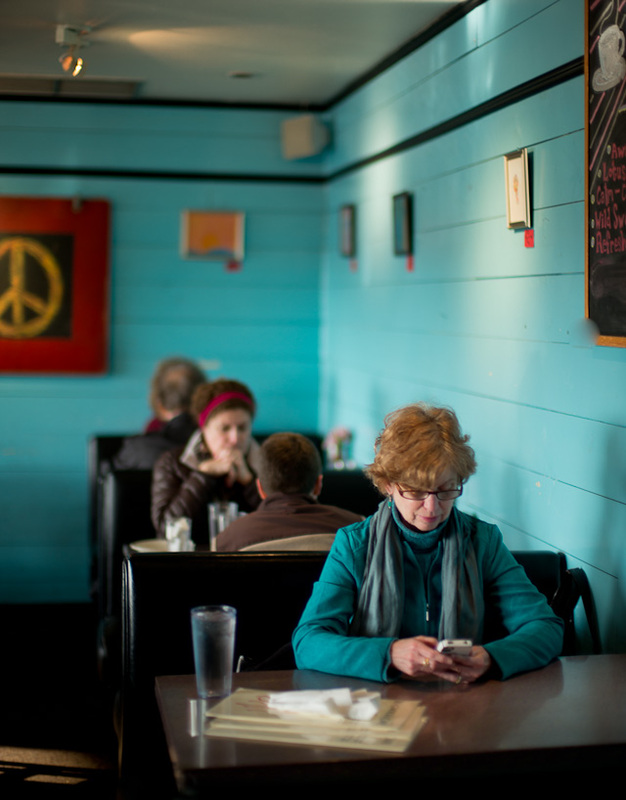 2.0: Leica M9 with 50mm Noctilux-M ASPH f/0.95 @ f/2.0, ISO 200. 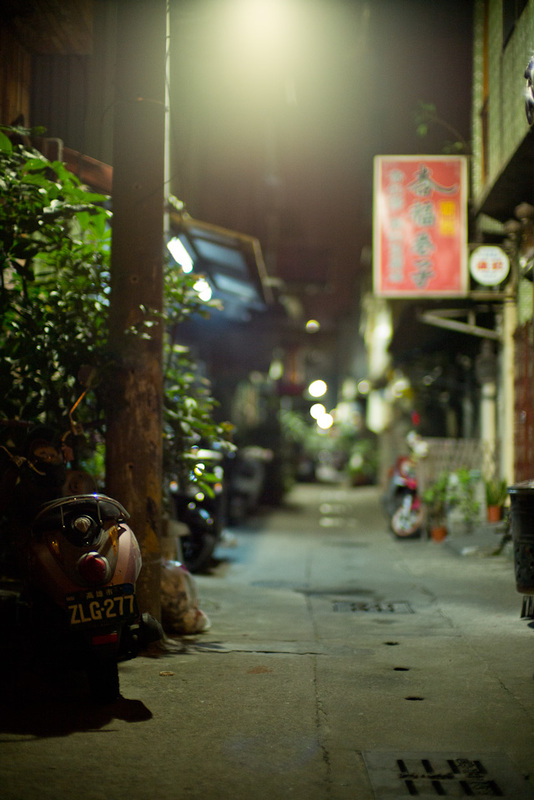 2.8: Leica M9 with 50mm Noctilux-M ASPH f/0.95 @ f/2.8, ISO 200. 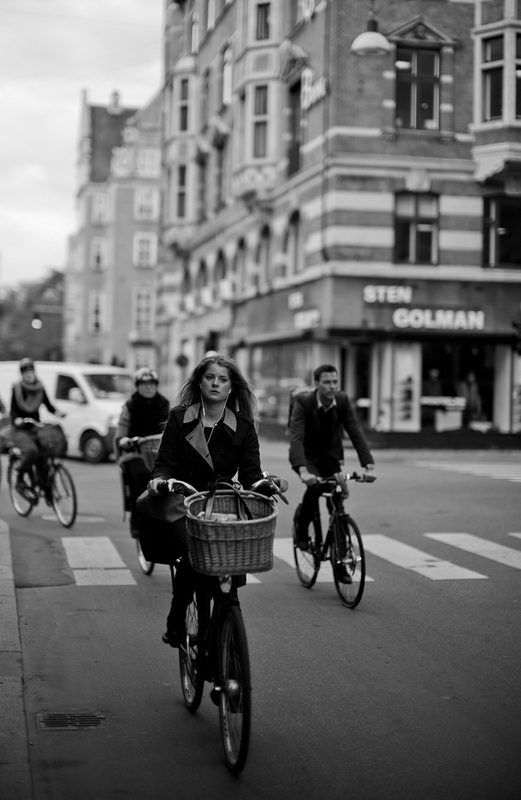 4.0: Leica M9 with 50mm Noctilux-M ASPH f/0.95 @ f/4.0, ISO 200. 5.6: Leica M9 with 50mm Noctilux-M ASPH f/0.95 @ f/5.6, ISO 200. 8.0: Leica M9 with 50mm Noctilux-M ASPH f/0.95 @ f/8.0, ISO 200. 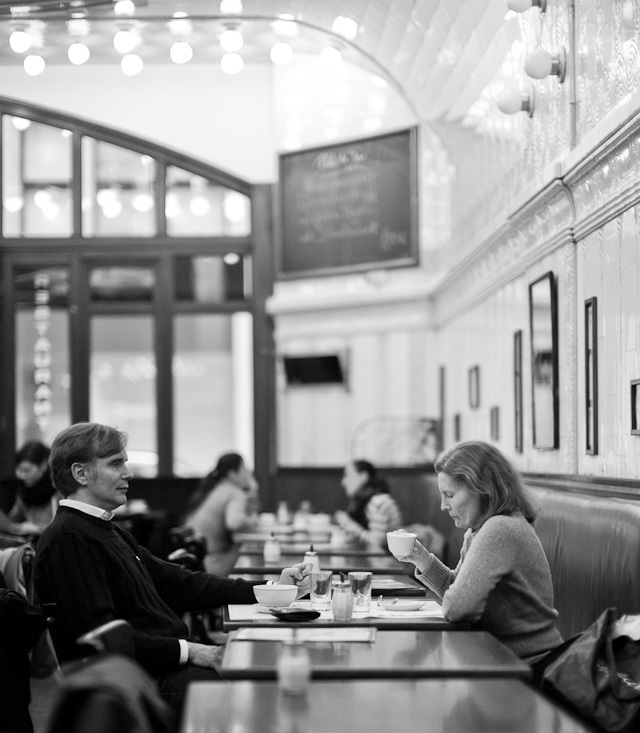 11.0: Leica M9 with 50mm Noctilux-M ASPH f/0.95 @ f/11, ISO 200. 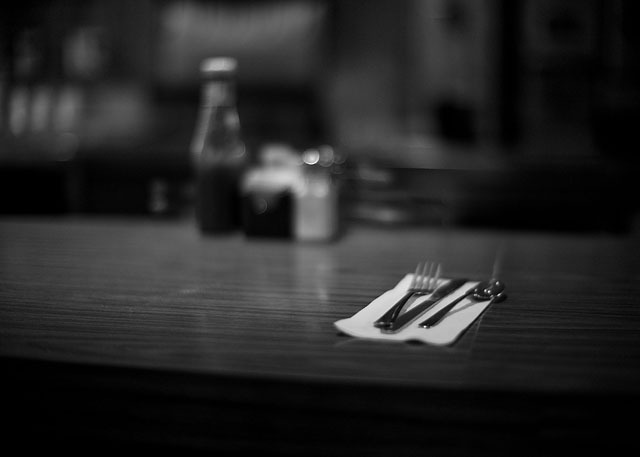 16.0: Leica M9 with 50mm Noctilux-M ASPH f/0.95 @ f/16, ISO 200. Without claiming to be a big expert on the subject - I tend to deal with fringing in Photoshop whenever it's apparent - purple fringing appears when sharp lenses meet highlight in contrast to shadow areas, especially when the lens is attached to a sharp and detailed digital sensor and there is over exposure. In the film age fringing was worse; we just didn't notice. In fact, if you change the focus a bit, the fringing will turn into a less disturbing green fringing (the lens works with the three main colors red, blue and green and the fringing is an expression of the inability of a lens to focus different colors in the same focal plane, also known as chromatic aberration). So if of any comfort, when blue or purple fringing appears, it's because the lens is sharp! I asked Leica about this, and they informed me that the fringing only appears in over-exposed areas (such as highlights shooting against the light), and that there is no treatment on fringing in the lens type selection. Will my 10,995$ buy me the perfect lens then? Technically speaking the Noctilux was never meant to be a perfect technical lens in terms of vignetting, abberation or sharpness. It's witchcraft at a very high engineering level. It's a landmark achievement in lens design and the physical prove of an enduring fascination for limits in photographic culture and technique. Photography has always been about photographing at the highest shutter speeds, at the fastest film speeds, with the fastest lenses and in as little light as possible. The whole development of photography from glass plates to film was about that; yet still maintaining precision in exposure and precision in colors. And when the digital age took off, the cyclus started again with bigger sized sensors, more megapixels, less noise, more precise colors, broader dynamic range, higher ISO, better software producing less noise and raising the ISO even higher. The Noctilux lies along that facination and is a masterpiece in itself. I guess 99,9% of the buyers of Noctilux lenses could be summed up in one word: Fascination! Leica M9 with Leica 50mm Noctilux-M f/1.0 (1981-edition). For precision work that require straight lines, sharpness, ease of use and defined details, Noctilux is not the answer. 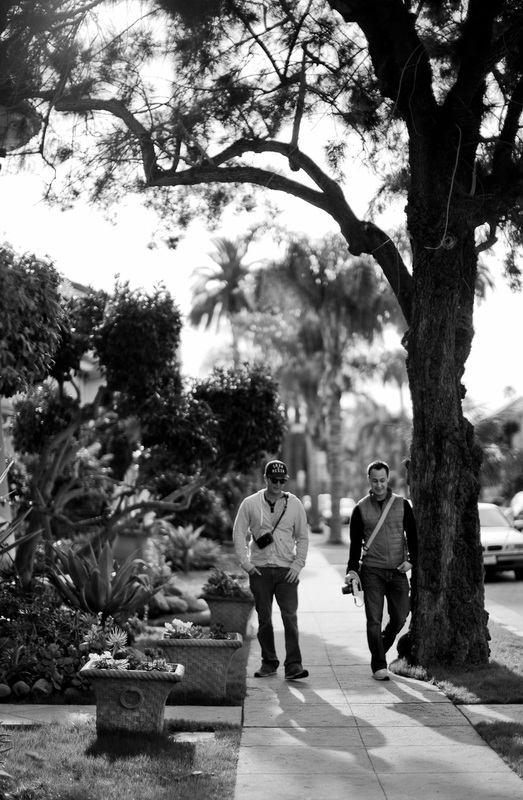 Most Leica photographers will have other lenses that does that well and better. But when we need some whichcraft and fascination in our photography, som artistic bokeh, some challenge of our ability to focus and some "to helle with it all - I paid 10,495$ and all I got was this little piece of metal with glass inside of it - ha ha!" we take out the Noctilux. When some camera manufacturers claim the ISO is now so high that f/2.8 and f/3.4 lenses will do, they're cheating. Leica could have made a Noctilux f/1.2 that would have been a great improvement to the previous models - perhaps even perfect - and less expensice. Why did they have to push it beyong f/1 to 0.95? The game of photography is to push the limits, and that is why the Noctilux is King of the Night. At least for those who are willing to pay 25x the price of a f/2.8 lens for just one single f/0.95 lens. Don't try to reason with it, just enjoy it. 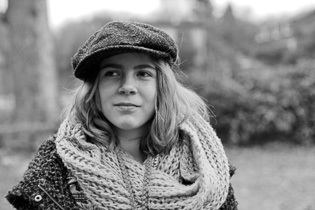 Leica M9 with Leica Noctilux-M f/1.0 @ f/1.0 (1981-edition). Some will hate the fact that they can't clearly determine where the focus is ... and if it's really sharp. That is not the point; look at the atmoshere and consider if there would be a photo if it had been with another lens. With a unique look that no other lens has, the Noctilux is the perfect tool for video. 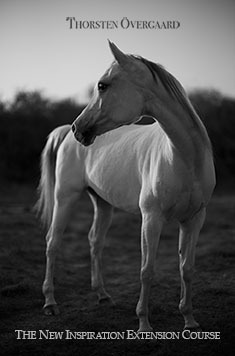 That is, if you like to have the subjects go in and out of focus. 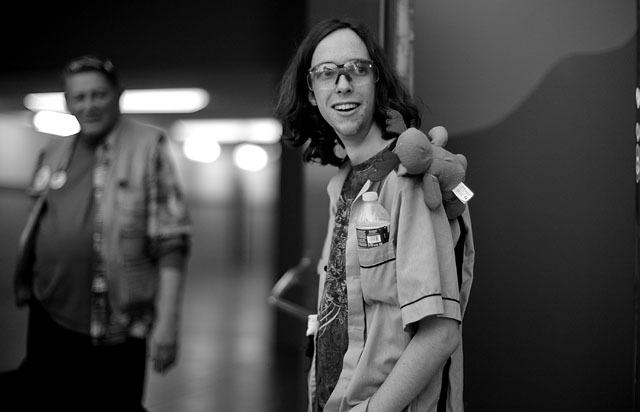 Music video, for example. 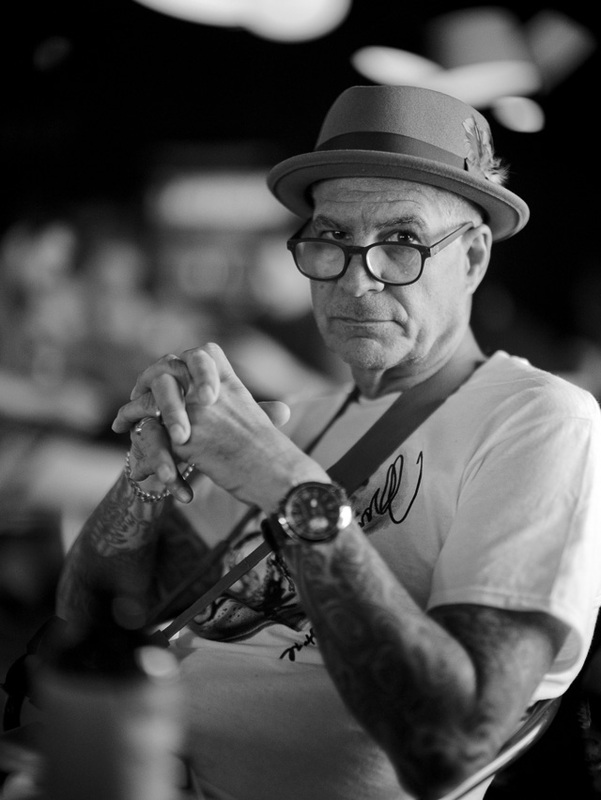 I did one in Bali with the Leica M240. It was a rather easy production in the sense that if you have a Noctilux and you happen to be in Bali, it doesn't take much time to create some stunning footage. No wonder that CW Sonderoptic that produces the Leica Cine lenses, decided to make the Noctilux in a PL mount for video cameras in 2016. To use the Noctilux for video, wide open at f/0.95, you will have to apply a variable ND-filter. As video is usually shot at 1/50 second shutter speed, you need to reduce the light greatly in sunshing. So the way you use the Noctilux is at f/0.95, handheld camera moving as with the subject in focus (as best you can), while controlling the light with the ND-filter. The 50mm Noctilux f/0.95 in a PL mount for video cameras in 2016. 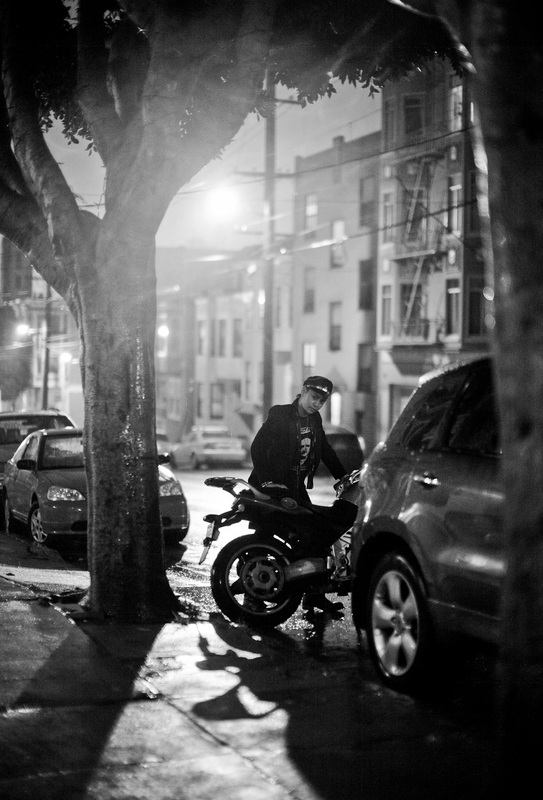 I hope you enjoyed this article on the Leica Noctilux. More to come, including my Noctilux book. Sign up for my free newsletter below here to stay in the know on new articles on lenses, photography and cameras. As always, feel free to e-mail me with ideas, comments, querstions and advice. 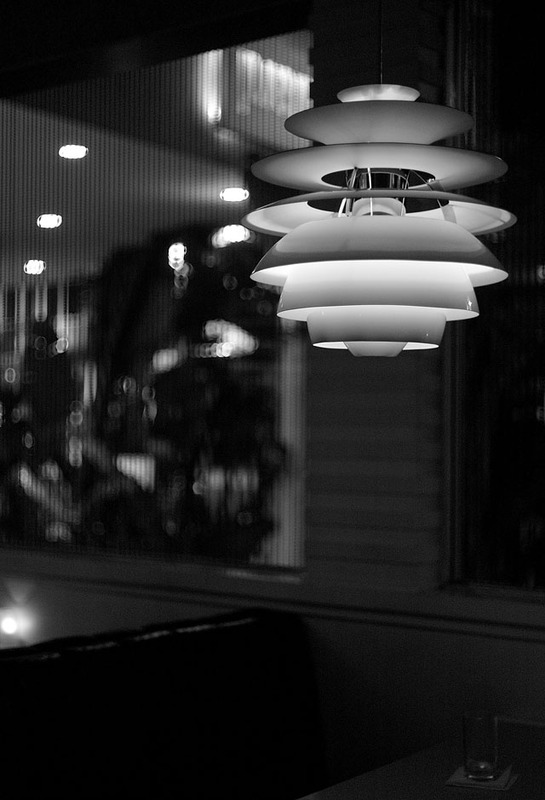 The Standard hotel's diner in Hollywood with Danish Louis Poulsen lamps. 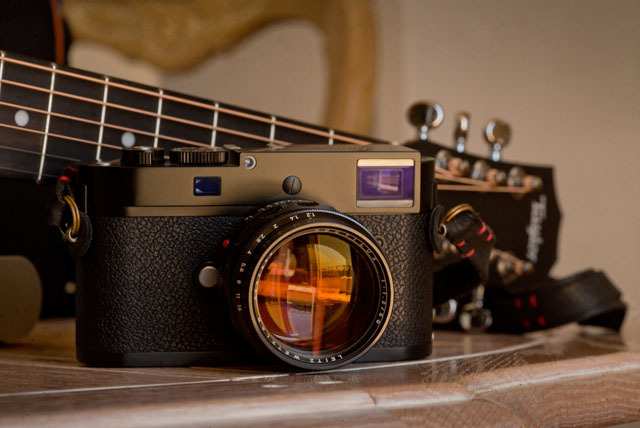 Leica M9 with Leica 50mm Noctilux-M f/1.0 (1981-edition). Above: Leica M9 with Leica 50mm Noctilux-M ASPH f/0.95 and Leica M9 with Leica Summicron-M f/2.0 Rigid. © 2019-2018 Thorsten von Overgaard. The Leica Noctilux-M f/1.0 (1993-08) with 60mm filter thread and built-in plastic shade. The Leica Noctilux-M f/1.0 (1982-93) with 60mm filter thread and clip-on shade. 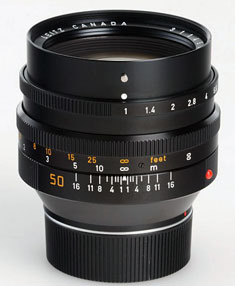 The Leica Noctilux-M f/1.0 (1978-82) with 60mm filter thread. The Leica Noctilux-M f/1.0 (1976-78) with 58mm filter thread. The photos on this page have been edited in Adobe Lightroom 3.6 and Lightroom 6 using Process 2010. Few or none have been adjusted further in Photoshop. 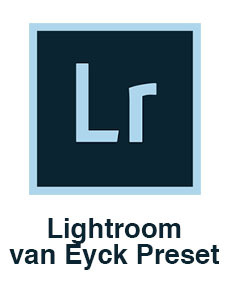 To read more about my workflow, visit the page of my "Lightroom Survival Kit".